This tasty collection of French treats begins in the cozy, historic town of Chartres — an easy train ride from Paris. Then, with your expert Rick Steves guide, you'll wind your way south, savoring the perfectly preserved châteaux of the Loire, prehistoric caves and traditional markets of the Dordogne, the medieval city of Carcassonne, the Roman Pont du Gard, and a French Riviera finale in Nice. Great as these sights are, they're just the lyrics — the culture of France provides the melody you'll never forget. Join us for Loire to the South of France in 13 Days. Opportunity to celebrate Bastille Day in Carcassonne! We'll meet at 5 p.m. at our hotel for a short "Bienvenue à Chartres" meeting. Then we'll take an orientation walk through our neighborhood, followed by time to get acquainted over dinner together. Sleep in Chartres (2 nights). No bus. Walking: light. We'll begin our day with a walking tour of Chartres' pedestrian-friendly, stream-straddling old town. Then we'll be treated to a scholar's tour of the famed cathedral of Chartres. One of the most impressive structures in all of Europe, it is also home to some of the world's finest medieval stained glass, and the veil of Mary. The rest of your day is free to explore the town, or to learn more about the art of creating stained glass. No bus. Walking: moderate. This morning we'll say au revoir to Chartres and drive south to the Loire Valley, the land of a thousand châteaux. You'll have some free time in the charming town of Amboise, where you could visit the home of Leonardo da Vinci (even grab a little lunch there) and study working models of the Renaissance Man's cleverest inventions. This afternoon we'll visit the elegant, river-straddling Château de Chenonceau, where we'll learn about royal life in France, with free time to roam through the château's opulent interior and gardens. We'll continue on to castle-topped Chinon, where we'll have dinner together and sleep (2 nights). Bus: 4 hours. Walking: moderate. We'll begin our morning visiting the Château de Villandry, famous for its remarkable "themed" gardens, inspired by water, music, love, and more. It's a gardener and photographer's dream. Next, we're off to visit a château known for its luxurious setting and elegant interior, Azay-le-Rideau. After lunch in the nearby village, we'll return to Chinon where you'll be free for the rest of the day to explore the town's ancient streets, tour the medieval castle, or sample the local wines. Bus: 2 hours. Walking: moderate. Our destination today is the Dordogne, a sublime region of fortified hill towns, caves, and meandering streams. We'll have a countryside picnic en route, then stop for a thought-provoking walk through the WWII martyr village of Oradour-sur-Glane — frozen in time as a memorial since June 10, 1944, when its unarmed residents were senselessly gunned down by Nazi troops. Our day will end with dinner together in the quintessential market town of Sarlat, where we'll sleep (3 nights). Bus: 6 hours. Walking: light. Today begins with a chance to appreciate some of Europe's oldest art: the 13,000-year-old drawings of Rouffignac Cave. We'll hop aboard a subterranean train to marvel at engravings and drawings depicting bison, horses, woolly rhinoceros, and…mammoths. There are so many mammoths depicted that locals have nicknamed it "the cave of 100 mammoths." This afternoon (weather permitting), we'll canoe down the Dordogne River from Cénac to Beynac, paddling past medieval castles and villages. If the weather is hot, we may even stop for a swim along the way. Bus: 3 hours. Walking: light. Take a vacation from your vacation! You'll have the entire day to savor the colorful weekly market in one of France's most pedestrian-friendly towns. Rub shoulders with local shoppers, sample foie gras, and salivate over the famous black truffle as you shop for your fantasy picnic lunch. Today you can make it a tasty reality! Then stretch your legs with a countryside walk. No bus. Walking: light to strenuous (your choice). This morning we'll drive south, crossing the scenic valleys of the Lot and Tarn Rivers as we make our way to Europe's largest fortified city: delightfully medieval Carcassonne. After a walking tour of Carcassonne's fortified old town — La Cité — you'll be free to savor views from the stony ramparts and wander through the cobbled lanes. We'll regroup for dinner together. Sleep in Carcassonne (1 night). Bus: 4 hours. Walking: moderate. This morning we'll drive east through the scenic Languedoc-Roussillon region. We'll stop at a winery en route to drink from the bounty of France's largest wine-producing region. Then we'll devote our afternoon to a walking tour of Arles. Your local guide will lace together stories of its impressive Roman Arena, Classical Theater, and Forum — and tales of Vincent van Gogh, who lived and painted in this neighborhood just over a century ago. Our day will end with dinner together. Sleep in Arles (2 nights). Bus: 4 hours. Walking: moderate. We'll start our morning off visiting the majestic, astonishingly well-preserved Roman aqueduct, the Pont du Gard. This engineering marvel helped supply millions of gallons of fresh water daily to one of the largest cities in Roman Gaul — 20 centuries ago! We'll visit both the aqueduct and its much younger museum. Your afternoon and evening will be free back in Arles for making your own discoveries. Bus: 1 ½ hours. Walking: moderate. This morning we'll drive to the hill town of Les Baux and enjoy sweeping views of the Provençal countryside from atop the ruins of its medieval citadel. After lunch we'll head for the Riviera. Upon arrival in Nice, we'll check into our hotel before setting out on an orientation walk through the Italian-feeling Old City and seaside promenade. Afterward you'll be set free to explore and enjoy dinner on your own. Sleep in or near Nice (2 nights). Bus: 4 hours. Walking: moderate. This morning we'll take a walking tour across Nice, starting with the busy Cours Saleya, the city's main market square since the Middle Ages. We'll then follow the narrow streets of the Italianate Old City to the spacious boulevards and shopping promenades of the city's newer side. Here, in the late 18th century, visitors from the north seeking the elixir of warm, fresh sea air created Europe's first tourism boom. Your afternoon will be free to wander through Nice's beautiful Chagall and Matisse Museums, prowl the promenades, or relax on the famous beach. This evening we'll enjoy a final dinner together, sharing travel memories and toasting new friends. Salut! No bus. Walking: strenuous. Breakfast is provided, but there are no group activities today. It's a breeze to reach Nice's airports by taxi, shuttle, or public transportation. For those staying longer, your guide will be happy to send you off in the right direction and help with any trip-planning needs. Au revoir et merci! "So many, but our time in Sarlat was really special. Getting us there on Saturday, market day, and having that be an entirely free day was genius. The produce, flowers, meats, cheeses, and breads made us wish we could take it all home and fix dinner! Think Sarlat might be a home base for a My Way of France." It's an ideal tour for folks looking for a look at France outside of Paris.Many sites are ones rarely first on anyone's mind when thinking of France, except for the first city, Chartres and the last Nice. I love the history and could have used more. I also would have enjoyed more about current politics and about the politics of tourism. Seeing Sarlat and Carcassonne. Both were so dependant on tourism it was interesting to see but left you wondering if Carcassonne exists in the off season? "The abondoned quarry near Baux. Even or especially without the light show! Though the show was fabulous!" Everyday was an interesting and enjoyable adventure. We learned so much more about France as a whole than one can learn by visiting only Paris. Linda, our guide, was wonderful in managing the trip and nurturing her brood of tourists. She is a treasure of interesting knowledge about France's culture & history. This was our 5th Rick Steves trip, all were wonderful. This one exceeded all our hopes and expectations. "I cannot name one experience. There were so many. Every day was an interesting and fun "WOW"." Linda was excellent. Very knowledgeable including the history of France. We found the people of France to be friendly. Meals were unremarkable Many of our rooms were very small compared to our associates. I could not hear the Chartres Cathedral guide. He spoke very softly. Disappointing Wines ere excellent. Appreciated the France landscape and the discussions about the wines. Kayak This was our 4th tour and we were somewhat underwhelmed with it, particularly compared to Spain and Italy. "Kayak trip was beautiful but the Kayak was extremely uncomfortable. Had to sit with legs tightly crossed for 2 hours. Yoga style.Needed help getting out at its completion. Others had a similar experience. Change outfitters!" I had a wonderful trip. The tour was very busy with a lot of travel but it never felt like we were just travelling from one place to another. Linda was a great story teller and kept us all involved in the journey. Aside from being on vacation, I appreciate that the Rick Steve's tours include places like Oradour-sur-Glane. The time in the martyr village was very impactful to me. "The Villandry Gardens were stunning and the art in the Rouffignac Cave was amazing but my favorite "wow" moment was the Illumination show in Chartres. The display on the cathedral was mesmerizing." I loved the Wisper Audio Guide...it made it easy to hear. Great Idea!!! Hope all the tours now offer this. "There were several "wow" moments but the best was in Arles when we walked out of the Hotel and were right there by the Ruins. The trip from the bus was a bit stenuos in the rain; but worth it." The tour was very informative and provided exposure to areas and cities of France that I was unfamiliar with. The tour also allowed sufficient opportunity to understand and engage in the countryside culture of France. Linda was an excellent tour guide by providing detail information about the cities and regions visited as well as other social aspects of the same cities and regions. Mitch provided informative support assisting Linda. "Chartres, Sarat and Nice were exceptional places to visit. All the cities on the tour were great. The guided tours were very informative and provided the background to understanding the origin of the French villages and towns on the tour. The winery tour was also exceptional in both the opportunity to taste local wine made by current decedents of perhaps almost two centuries of vintners. ."
Very well organized and well run by out outstanding guide Linda. The tour group came together very fast and worked well together. So many wonderful people in a small group of 28. The Itinerary was extensive and complex and included large cities and small towns. The meals were excellent and most reflected the local produce and cuisine. We visited many overwhelming Chateaus and Cathedrals. The group dinners were an especial hight point of the tour. Our bust driver became part of our tour family. "So many "wow" moments it is hard to select just one. I think if I have to the one "wow" experience that still is with me in my mind and heart is the overwhelming beauty of the Chateau Villandry and its "themed" gardens. It was breathtaking to behold and an enchanting wonder to walk through. Second, to the gardens of the Chateau Villandry was to experience the "emersion Light Show" in the vast underground quarry. It was breathtaking and overwhelming at the same time." This was our third Rick Steves' tour and it did not disappoint! Our wonderful French guide Linda set the tone for a fun trip filled with local food and wine experiences. As usual, our fellow travelers were interesting, local guides informative, pacing just right. For us, a Rick Steves' tour is a true vacation; all the planning and choice-making has been done by the time we get on the plane. Free time and activity are nicely balanced. We're already planning our next one! "Sitting in our hotel room in front of the wide-open windows overlooking the nearby Chartres Cathedral; we couldn't believe we were there! Actually, the whole trip was filled with wow moments, from Linda's delicious picnic in the tiny village where the tiny mayor gave us a tour to a magnificent lunch in a winery. And Sarlat's incredible market..."
It was a wonderful experience, and exceeded my expectations. We had a great guide, and our driver was very good. I felt that I learned much about the French, their customs and history. Having the opportunity to dine on genuine French food was a great pleasure. "The caves at Rouffignac. I found what these ancient people did to be amazing. I was truly taken aback by the detail and perspective in the drawings, as well as the effort and skill they displayed in making those pieces of art so far inside the cave. The guide was great. His love and enthusiasm for what he was doing was revealing." Tour was an excellent introduction to France, her history,culture and customs. "Too numerous to choose. However, an optional balloon ride over the Dordogne Valley was spectacular." We enjoyed our tour very much. Chris was a great tour guide and our bus driver was great too. The locations were beautiful and the dinners were lovely. We had a great group of people with no complainers! We would recommend Rick Steve's Tours to friends. "There were at least three "Wow" moments. Chris arranged a balloon ride. Wow! The original cave drawings. Wow! The Chartes Cathdral at night with the light show." Chris was excellent as our tour guide. She was informative and spoke wonderful French. The tour was jam packed with delightful sites and Chris gave us plenty of information so we could understand the history of the sites we saw. .
"Villandry had the most spectacular flower gardens I have seen. They compare to Longwood gardens in Pennsylvania but on steroids. The light show at Chartres. The Grotte de Rouffignac was also fascinating and the tour was excellent. Market day in Sarlat. Art installation at the fort in Carcassonne. Ponte du Gard. Carriers de lumieres was an absolute delight. I would have liked to watch the show again." Very good tour. We were able to see a lot of the areas of France we have not seen previously when we traveled independently. This was our first Rick Steves tour after using the Rick Steves guides to help us take at least eight independent trips to Europe. It was a break not having to find each city or area, places of interest, and find each restaurant or book each hotel. Chris Coleman was a great guide, very enthusiastic, even-tempered. We saw a few places we wouldn't have seen on our own. "Canoeing on the Dordogne River- a chance to do something very different. It was a beautiful day, easy canoeing, beautiful scenery. Our short biking outings on other independent trips in Netherlands and Belgium, or hiking in the Alps have been some of the most memorable parts of trips. It is good to be physically active during a trip in these beautiful areas, rather than just visiting historical or cultural sites all the time." This was the first such tour my wife and I had taken. We'd heard great things about Rick Steves tours so decided to give it a try. Our expectations were blown away. What a great experience. We were confident that the itinerary would be exciting. The tour guide, the bus driver, the rest of the tour group and the size of the group made all the difference. We are already planning our next Rick Steves tour and have recommended Rick's tours to many of our friends based on our experience. "As many people have said in their reviews, there were many "wow" moments. I literally said "wow" pretty regularly on the tour and I've travelled to many places in my life. Probably the most surprising moment was Carrieres des Lumieres, the sound and light show in a quarry in Les Baux de Provence. I was not expecting it at all. What an amazing show." Great locations, well organized, nice pace, just the right amount of free time. "The various castles and their typical expansive gardens and the aqueduct are my two top choices. The Carrieres de Lumiieres was obviously a surprise and very impressive! And Nice was a "nice" way to top off the trip!" Fabulous tour.I felt like I was in a mobile classroom, using my senses. I could SMELL the fragrant grapes while touring winery of Languedoc-Roussilion region. Could TOUCH the arches of the Pont du Guard and buildings of Carcassone. I could see the overwhelming beauty of the chateaus of the Loire Valley,including the paintings and gardens. I could TASTE "foie gras" & "cassoulet"for first time, I could HEAR the bells of Chartre Cathedral. I loved walking through French history to the present. "Two favorite WOW moments for me. Chateau Villandry, its breathtaking architecture; exquisite mixtures of Spanish and French art and furnishings with a very personal touch.Outside the gardens were pure splendor. I didn't want to leave. The other WOW moment was in Les Baux area walking into an enclosed limstone quarry and being awestruck by the music and digital projections of Picasso and Spanish Masters and the "Flower Power" sights and sounds of 60's.The walls were alive. It was magical." One of my favorite trips ever. I started this the day after the Eastern France tour ended yet enjoyed it considerably more. Great guides with Julie and Jen and a very nice group of people. Both tours were well designed but I LOVED this one. "Exploring Carcassonne, being on the river, our picnic and dinners together, Chartres Cathedral and the evening light shows, Les Baux, beautiful Nice, many happy memories were made!" "Cave paintings and Pont du Gard"
"Cave paintings. WOW. Felt a sense of calm at being in the caves with the 'ancient' drawings. Amazed. Oradour-sur-Glane. Sadness. Another calm with reflection realizing senseless death. Chateau De Vallendry. Amazed with the gardens. Magical." Just stupendous. Great guide, great assistant, great group, great schedule. Well balanced with great food. Must be France. The hallmark of a Rick Steves tour is not just the wonderful well known sights but the back door surprises. In this case a gut wrenching trip through the World War II village burned by Nazis was very moving. And this was not ancient history but a sobering lesson in the flaws of humanity. "To be guided by an indomitable and courageous leader, Julie. Her spirit and dedication to all tour members was inspiring for those under her command. The epitome of a professional in the spirit of Keep On Travelin'." Once again, a great tour! Julie was awesome and Jenn was a wonderful compliment to our group. Scheduling was good. Loved the villages, loved the food, loved the history. "I was "wowed" to have Julie as the tour guide. We met her years ago and it was a pleasure to rekindle this friendship. She is a GREAT guide!" "Visit to quarry withbpicasso music display"
We had the best time on our tour. Our tour guide was so knowledgable - she taught us manners, cuisine, culture - how to be French :) The itinerary was superb and the pace was perfect. This was our second tour and we are BIG fans of Rick Steves Tours. There is always a surprise along the way that is not listed, along with local treats that the tour guide thinks represents the local culture. The local guides are great and add so much to the tour. Our traveling companions were terrific ! "The light show in Chartres was beautiful and very creative - it was the first night - the trip just kept on getting better and better !" It was all very good .Chris was very interesting. Material presented helped me to understand the history and the French people. Good variety of experiences. Overall, my tour experience was excellent. This was my third RS tour, all in France. As with previous tours, this one was fun, educational and inspiring. Everything was exactly as promised: great sites and tour guides; delicious food and wine; centrally-located, comfortable hotels; good balance of scheduled and free time; good tour members; super comfortable bus transportation and very friendly bus driver; and more. RS tours are a great monetary value. Another all-time favorite vacation. "Every single location was a "wow" moment, even sad places such as Oradour-sur-Glane. But it is not just the wow moments that made this tour so enjoyable. I love France and just driving through the countryside, seeing beautiful, even not-so-beautiful parts, is thoroughly enjoyable. Likewise, having the opportunity, even though it is usually brief, to interact with French people is a true pleasure. They are very friendly, polite and interesting people." "The tour was one interesting, memorable moment after another. One of my favorite memorable days started in Chinon with the amazing Joan of Arc statue in the plaza where we boarded our bus. We were treated to a delightful tour by the charming mayor of the small village of Mortemart before that day's picnic lunch. Then followed our afternoon's somber visit to Oradour-sur-Glane, set up by our guide reading from the memoir of a survivor. The day was capped by a marvelous group dinner in Sarlat." "My favorite "Wow" moment was lunch in the courtyard at the winery we toured." Very interesting and enjoyable. This was our second tour and the overall experience of both was excellent. "The Roman Aquaduct, Pont du Gard." A great tour through different regions of France. Interesting history, great scenery. Interesting new friends to travel with. "Various Roman buildings left standing and the prehistoric cave drawings at Ruffignac." Touring the Loire Valley has been a dream of mine. The tour is only as good as the guide who brings the experience into reality. Chris C. is outstanding in management of the tour logistics and possessing excellent people skills to manage our eclectic group of travelers. From Chartres to Nice my dream was realized without a hitch. Great hotels, food & wine, people, and great tour! "Pont du Gard and the Carrieres de Lumieres light show in the quarry were exceptional. Thought it was an acid flashback for a second;-) Also thoroughly enjoyed the market & town of Sarlat and Nice." "can't decide either: pont de gard (amazing), or the cave bear sleeping spots in Rouffignac Cave (cave painting were awesome too), or the most moving was Oradour-sur-Glane"
It was a wonderful , exciting & educational experience. We loved the very different experiences provided by Rick Steve's Tours &!Chris . It was a good balance of activity & time on your own. The planned gatherings (picnics, wine tour & tasting, dinners were fun & interactive with other travelers. We loved it from beginning to end ! "Chartes Cathedral- Nice & the Mediterranean. The Chateaux were amazing." I loved the entire tour - the Loire and Dordogne regions were all new to me. The tour provided a nice variety of history, archetecture, art, food, and the culture. I appreciated hearing about everyday life, relationships between France and the USA, and hearing the beautiful french language. "I loved the luminaries exposition in the old bauxite mine. We were transported back to the 60s with Flower Power. Also, the cave drawings/ paintings were incredible, and Oradur sur glan (sp?) was - not certain that I have words to express how it affected me. Honestly though it is difficult to pinpoint any one thing. I learned and saw so much. I got a little overwhelmed with all the castles, but it was Europe afterall." This is my third Rick Steves trip. I am already planning my fourth. I found the Loire tour to more than meet my expectations. Our guide, Chris, did a wonderful job. Our driver was very good and went out of his way to be friendly and helpful. The other travelers on our tour were fun to be with, and our accommodations and meals provided were great. "The whole trip was good. It's hard to pick one thing. Our canoe trip will probably be the most memorable. It was the only rain we got on the whole trip. We got heavy rain and wind half way down the river and got soaked. We knew it might rain, so our guide gave people the choice of taking a covered boat ride or paddling down the river. I chose the canoe. Even though it was rainy and windy, we were warm. When we finished, our first sight was a castle & beautiful view and we dried fast!" Our tour through the Loire Valley to the south of France was a kaleidoscope of experiences. We enjoyed cathedrals and breathtaking chateaux with amazing gardens as much as wandering through the busy Market Day streets in Sarlat, then ending the day eating French Onion soup, sipping wine with the locals, and dancing to their exciting and romantic music. Our tour was well planned and gave us time for Over the Top enjoyment dispersed with time to relax, learn and reflect. "My favorite "Wow Moment" occurred in a cathedral, sharing a painting with some of our tour members. Sharing ideas, emotions, and experiences on these trips, with people that we don't know and may never see again, both citizens of other countries and the USA, gives us a chance to really grow and come to know ourselves better." The tour had a great variety of experiences and sightseeing adventures. There was a good balance of free time and scheduled activities. It was another wonderful Rick Steves trip. "The prehistoric caves at Rouffignac"
An outstanding tour that met and exceeded our expectations. Our wonderful guide Linda worked hard to ensure that we had a most memorable experience. A very well balanced tour with unforgettable historical sites, fun picnics, wine tastings, and cultural experiences & all enjoyed with a very congenial group of fellow travelers. "Our tour was filled with "wow" moments--something new everyday. We loved the chateaux, medieval towns, fortresses at Chinon, Les Baux, and Carcassonne, and, of course the prehistoric cave at Rouffignac. The illuminations at Chartres were particularly memorable--magnificent--and we will always remember our very sobering visit to the martyr village of Oradour-sur-Glane." This was an excellent tour, typical of the Rick Steves experience. This was our 12th Rick Steves tour, third time to France. The tour guide, hotels, food, and sights all were up to standards, in other words "outstanding". "The night time light show projected onto the cathedral of Chartres was both unexpected and stunning. I had never seen anything like this in my life and had not imagined that it could be done that way. The show lasted 15 minutes, and I watched it three times." Every day was a new adventure. Just when you were tiring of chateaux, we had a workout rowing the Dordogne or having an impromptu wine tasting. The daily variety was great. "The cave art in the Rouffignac Cave...13,000 year old drawings! And the Carrières de Lumières in Les Baux de Provence...Picasso comes alive." It was extraordinary! It was also a very good value. However, it was more physically active than I had anticipated, based upon the catalog description, as well as upon my own previous experiences on Rick Steves' tours. I was thrilled to see the attractions for which I had signed on to the tour: Carcasonne, the Pont du Gard, and Rouffignac Cave. Les Baux was the biggest surprise! I loved it! Oradour-sur-Glane is a must see; I had no idea; thank you for bringing us there. (Who knew)? "Listening to local guide as he took us around Carcasonne Castle, "busting myths" about medieval times, and then giving us a presentation about knight selection, training, armor, and use of weapons. The depth of his knowledge and the style of his delivery were excellent; he is a master teacher, skillful at capturing and maintaining his audience's attention. The sources of his authenticity were his education (Master's Degree in Medieval Studies) and his ancestry." Very well organized and lots of fun!! Linda, our guide, was absolutely fabulous. She was knowledgeable, great people skills, organized and made the tour even better. My first trip to France (other than Paris) and I enjoyed the small villages and history. The tour was well paced and had just enough free time. This was my first tour with Rick Steves Tours and I've signed up for next year's travels through Turkey. I highly recommend Rick Steves Tours. You will not be disappointed! "The caves and wall paintings in the Dordogne Valley. The guide there was very knowledgeable (PhD. in prehistoric art) and we went way inside the caves to view the paintings. Incredible to see what people drew over 3000 years ago and touch the walls while viewing their talent." Overall, I enjoyed everything. I especially enjoyed the towns of Sarlat and Chinon. I could of spent more time in the village of Oradour-sur-glane, especially since I love taking photos of old ruins......oh well. Sarlat was my most favorite for all the photo ops, with all the back roads and market place (and the alleys). My second favorite would be the Castle of Chinon.......once again, more ruins. I was very disappointed in Carcassonne, not enough time due to the guest speaker. "My most "wow" was Sarlat with all the great photo ops. Maybe you could come up with a tour that would cater to photographers, I would really sigh up for something like that." Linda was incredible! The tour was everything we hoped it would be. It was the perfect balance of history, art, architecture, French culture and fun. "I had 2 wow moments. The first was Malcom Miller and his history and information at the Chartres cathedral. He is a jewel, when he retires, it will be a terrible loss to the tour. The second wow moment was the Quarry light show. It was such a 60s flash back. What a lot of fun it was. The picnic at the winery was also stupendous. I can't find enough adjectives." The tour was great. Our guide (Linda) was very informative about French culture, issues, politics and social issues. The tour schedule of chateau's, palaces, historical villages, canoeing, memorials, gardens, light shows and wineries and French food was a wonderful mix of activities. "Wine tasting and lunch at Saint-Christol. The food was great. The outdoor venue was was relaxing and the host was wonderful." "Entering my room at Chartres and having a view of the cathedral spires outside my window." I concur with all comments on my wife's tour experience. Please include an option for one family evaluation in the future versus two separate ones. Also, please include a copy of the evaluation in the tour packet so we can make appropriate notes as we travel, vs trying to remember after the fact. This was our first Rick Steves Tour and it totally exceeded our expectations. Our tour guide, Arnaud, was incredibly knowledge and had a great sense of humor. Everything was planned so well that we went from experience to experience without a hitch each and everyday. Our group was wonderful and the meals set up by the tour were all excellent with local food and wines. We can't say enough about how much we loved the experience. We can't wait to go on another Rick Steves Tour! "I think I was most wowed by Les Baux's medieval ruins and the views of Provence. It was so well preserved and we were able to climb to the top to really appreciate the ruins and the countryside. Equally wowing was the view of the Dordogne River Valley from Chateau Beynac earlier in the tour with it's English and French chateaus on either side. Of course, then there was the canoe ride down the Dordogne equally wowing. I could go on and on." Arnaud was the best tour guide we have had guide us. My wife an I have been on no less than 8 tours (this being our first Rick Steves tour) and Arnaud was the best. The only reason I didn't give this tour an outstanding review is that of all the tour companies I've used this was subpar when it came to hotels. Most were ok but a couple were not very good. They all had really good locations but some were substandard. One room had real band aids to keep the air conditioner together. "We've traveled enough that there wasn't a real "wow" moment but we especially liked the town of Sarlat and Malcom Miller's talk about the "stained" glass of the Cathedral at Chartres." The tour was very well-managed, the guide was great and there were some extra stops along the way. There was just the right number of chateaus. "I'm a sucker for old stuff, so the cathedral of Chartres, cave art at Rouffignac and the Pont du Gard were my favorites." We had attended a lecture by Rick Steves and have watched the PBS shows, so we had some idea of expectations for our first Rick Steves Tour. We were amazed by the quality of the tour and that it exceeded our expectations. The daily selection of activities were outstanding, plus some that were a complete surprise experience. The food was amazingly delicious. I fell in love with the beauty, culture and history of France. "We were told that we were doing a surprise tour of a rock quarry. Ok, we thought it would be where the stone for ancient sculptures were quarried with some samples and demonstration. It was a totally amazing experience as we walked in the entrance and immersed in an audio video experience. Seeing huge art images projected with rock and classical music brought tears to my eyes. It was an emotional art experience, loved it!" Arnaud, our guide was a wealth of history and knowledge. He made this trip come alive with his warmth and information. Each and every day was filled with new sites and history. "Every day was incredible, but the Market in Sarlat and the ancient city of Arles were my highlights. The gardens at Chenenceau were just a their peak and so beautiful to see. Canoeing on the Dordogne ... another highlight." Just a terrific overall trip - Arnaud was a wonderful guide, with an excellent grasp of history associated with each location we visited or drove through. He set the right tone, with the perfect balance of exuberance, fun, personal engagement, and insistence in punctuality. Terrific site visits and local tours and local guides as well, and the group meals were all excellent. "Getting to know and spend time with like-minded (fun) people. We would love to be with the same group and guide (Arnaud) on the next trip we take." Wonderful tour with great guide, Arnaud, and fellow tour members! Also had a great coach driver who guided us safely thru narrow streets and other tight places! "Loved the entire tour! We saw so many beautiful churches, chateaus, towns, scenery, views, etc. The huge market day in beautiful Sarlat was a sight to behold. I especially enjoyed visiting Chenonceau and Villandry and the Chartres Cathedral. Carcassonne's medieval fortified town was totally unexpected and delightful. The cave drawings at Rouffignac Cave were amazing. The entire tour was wonderful!" It was fine! Had a really good time. A very powerful moment when we saw Oradour-sur-Glane left exactly as it was after that awful day in June 1944. "We stopped in a small town after we left the Rouffignac Cave and walked up to an old castle. You could see far off from there the beautiful countryside. It was an unexpected view. The Rouffignac Cave was magnificent also. The market in Sarlat was amazing to see and visit." This was a perfect trip for my wife and me in so many ways. The 13 days through the heart of France was amazing. We saw castles, churches, Medieval cities, beautiful chateaus, cave art, the Picasso exhibit, sampled wonderful wines, coffees, regional foods, scenery, picnicked, canoed, had vistas of so many beautiful sights, enjoyed Nice, the beach and waters of the Mediterranean & met great people on the tour. "The tour was during World Cup soccer and we watched the French team win in Carcassonne after our day tour from a pub in the old Medieval city castle and then celebrated with the French people and many from our tour group with champagne provided by the inn keeper. We also celebrated Bastille Day with wine and fireworks from our hotel viewing area in Sarlat and enjoyed foie gras at dinner along with my surprise birthday celebration courtesy of our guide." Overall, I'd have to say that it was a good experience. We had spoke with others who have done Rick Steve tours and the platform is that you have an introduction day and then a free day to explore and that was definitely not our experience here. It felt very rushed. I enjoyed the food and the group and some of the sites were fascinating, but the overall feel of the tour was rushed. "Standing on top of the fort at Nice and surveying the Mediterranean Sea was beyond wow." This was an amazing tour! Great itinerary with a perfect balance of tour group time and personal time. All the people in our group were fun and made the trip extra enjoyable! Arnaud was knowledgeable and funny! "Although we enjoyed every activity and every place on the itinerary, it was especially enjoyable to be in France during the championship World Cup soccer game, in which France won! We were in Carcassone, a small medieval-walled fortress city during the championship final game and enjoyed watching the locals (and tourists) watch the game and celebrate." We were a group of 14 and had a great time connecting with everyone that we didn't know. The trip was excellent, I learned a lot and saw so much more than I expected. "We had many "wow" moments but three of my favorites were the walled city of Carcassonne and the guide we had there. I also thought Sarlat was pretty special and seeing the sea at Nice. We didn't expect to think Nice would be a fun city but it really was especially the old part. My husband liked the gardens Chateau de Villandry." Our fourth Tour with Rick Steves and my favorite now! A rich exploration of French culture and heritage. Prehistorical cave art, medieval towns, Roman aqueducts and arenas and extravagant royal chateaus. Our weather was perfect for walking and exploring the sites. The French invest in the preservation of their history making it a pleasure to tour. "World history and culture are my passions and the medieval cities of Chinon and Sarlat and the Roman and Greek heritage in Arles are stunning. However the high tech evening Chartres en Lumieres and the Carrieres de Lumieres at Les Baux de Provence were firsts for me and top WOW experience." Fabulous! Well organized with a balance of experiences - guided tours for information and orientation, suggestions, then time on our own to explore or rest. Liked that there were physical activities which helped to balance out the caloric intake of those great meals showcasing the local cuisine - food and wine. Using specific small cities / towns as hubs for multi-day stays is perfect. Timing on stays at sights was just about right although we always wished we could stay longer. Sigh! "That's like asking one's favorite Rick Steves tour. So many! So I will give you my surprise moment - the limestone quarry that is used as a multi-media light show. Blown away! Usually not my thing as I love culture, nature and architectural history sights. On that subject, I loved the Pont du Gard and the walk up the hillside. Wow and double wow! Canoeing on the river was a wow too. Such a different view / experience! Love it!" This tour exceeded my expectations in terms of the depth of cultural experience and variety of experiences that were offered. Our tour guide Virginie made the difference with her extensive historical and cultural knowledge coupled with her with her ability to care of each individual. This was my first Rick Steves tour and was the best travel experience l have had in all my travels. "There were many favourite wow moments, in fact l think they were daily. Every day the itinerary offered something with its own unique character. Each town visited was special in its own way making it difficult to say this experience was the best. Honestly the tour was so well designed that each day had the wow factor. What l also loved were the special extras added to the itinerary, such as the food and wine tasting session or the surprise visit to the Picasso exhibition. They were amazing!" This tour was so much more than I could have ever hoped for! To begin with, they don't get any better than our guide Virginie. She was a big part of this amazing experience. The things we did, areas we saw, food & drink we consumed, & education we received was top notch & incredible! I highly recommend this tour for anyone who really wants to see more of France & it's people outside of Paris. I feel like I came away with a true & wonderful representation of this wonderful & lovely country. "There were just too many wow moments! I was blown away by the Chartres En Lumieres light show as well the Carrieres De Lumieres Picasso light & sound show in the limestone quarry. Oradour-sur-Glane was heart wrenching & poignant. The Chateau Chenonceau & entire Loire area is just stunning! Market day in Sarlat was a blast & the wine & cheese we were exposed to on the entire trip was incredible! The Roman aqueduct, Pont du Gard was fascinating & the Rouffignac cave was super interesting!!!" This was my first Rick Steves tour and it surpassed my expectations. My husband and I have friends who have had wonderful experiences on Rick Steves tours and we decided it was time for us to try it out. So glad we did. Our tour leader, Virginie, was outstanding! She was extremely well organized and knowledgeable about everything French. Her "presentations" on French life, culture, and history were engaging. The balance between group time and personal time to wander and explore was perfect. "How to pick? The tour of cave art was spectacular. Our stop at a winery at in the Languedoc-Roussillon region and the out door meal our group shared there was wonderful. The light (art and music) show at Carrieres de Lumieres brought tears to my eyes, it was so beautiful." I loved this tour. I had not been to France since 1972 (!) -- a different world now. The quality of tour guide Virginie cannot be overstated. She MADE this tour. "Virginie's "surprise" for us - the Carrieres de Lumieres, a stunning light and audio show in an old stone quarry, featuring Picasso's art and period music on the varied, tall walls of the quarry. I guess not all tours get to experience this, but IT WAS SENSATIONAL. One of the most fabulous experiences of my life, no kidding." Where to start? The tour through the southern parts of France was beautiful. Our tour guide, Virginie More, provided much history and insights into the country. We never got bored as there was too much to cover in just thirteen days. Our travel companions bonded quickly and everyone shared great insights from their French experience. Also, our tour had 12 straight days of sunshine with a refreshing shower on the last one. Toasts were shared on the Nice boardwalk and we hope to visit again. "Too many to narrow down to one, but I would say the light show on the Chartres famous cathedral walls was amazing. When the sun set on the horizon, the music and lights brought magic to the place. Artists put hours of time into the visions of color on the exterior statues and gave a glimpse what beauty had provided many centuries ago." Being my first tour experience and trip to France, I was blown away with how well organised and stress free the trip was. I felt like I got to make the most of every second in beautiful France because Virginie was so well organised and knowledgeable about all the places we were visiting. The towns we visited were so incredibly beautiful and had so much history which Virginie always informed us about. Each town was a different from the one before, making each one stand out in my memory. "The entire trip was WOW. Each new town we thought couldn't live up to the last one but each did as it came with its own unique highlight. The stunning Loire- Villandry's incredible gardens, Chateau Chenonceau and it's history/gardens, Amboise & its views/gardens- pretty much THE GARDENS! Sarlat- its maze of markets, cobblestoned streets & food, Carcassonne- Jeff's hilarious yet informative tour, Provence-lunch the yard of Domaine Guinand, Arles- Cocarde D'or & Pont du Gard & Nice's beach"
We had a great time on this tour. We liked the tour leader, hotels, bus, bus driver, itinerary, and local guides. We would definitely recommend this tour to others. "I really enjoyed several events: the cave drawings, the canoe trip, Nice, and Sarlat. I was expecting the highlight to be the Loire Valley chateaus and they were definitely interesting, but I found other places more exciting. The light show in Chartres was a big "wow" moment because I was not expecting anything so spectacular. It was incredible!" "Definitely the light show in the quarry!! The combination of lights, music and movement was mesmerizing." My husband and I had a trip of a lifetime! It was fun, educational and we had a truly amazing tour guide, Virginie. If I had eaten at home like I ate on the trip I would have gained 15 pounds but I came back home at the exact same weight! Due to the walking I believe. The time walking was so fascinating & included well spaced pauses that I was surprised that my daily mileage average was about 5 - 6 miles. We covered so much and I felt great. Our tour members were a joy to travel with. "Having dinner at the Serpent Restaurant, across from Chartres Cathedral. Everything was magical, relaxed, perfect time of day, families and dogs playing at the steps of the Cathedral, friendly staff, good wine - just everything was perfect! It really set the stage for our beautiful tour of France. Also, the Carrieres de Lumieres, Les Baux de Provence was a WOW moment too. (...Never would have seen that on our own.)" We loved this tour - it brought together so many different elements of France - from beautiful chateaus to lovely vineyards along with caves, canoeing, picnics, light shows, and so much more. As always, we made new friends and traveled with old ones. Our guide was the best ever - we just had an amazing experience! "We had so many 'wow' moments - the light show on the Cathedral in Chartres, the cave paintings in the Dordogne, the amazing chateaus, and the gorgeous seaside city of Nice. One of the most serene moments was floating down the Dordogne river on a canoe. So many more that it is hard to narrow it down to just one. Everyday brought a 'wow' moment." This was an incredible and wonderful tour....we enjoyed every single day and had so much fun. The French food was great, we tasted so many delicious wines, and saw some gorgeous scenery. "I had quite a few...the amazing cathedral in Chartres, the spectacular chateau Chenonceaux. market day in Sarlat, and the medieval demonstrations at Carcassone, where my husband got to shoot a crossbow and try on the knight's helmet and chain maille. That was definitely a wow moment for him too!" well designed, fast paced, welcomed diversion from everyday life. "1.Watching my wife glow and turn on to all of the sights and tastes of France, with me right along beside her. 2. Sarlat, Sarlat, and Sarlat." As always the Rick Steve's tour of France was fantastic. It was very enjoyable visiting all the sites & towns throughout the countryside. Looking forward to our next tour! "Well, I love Paris even in the rain but the French cuisine is superb! Another wow moment was the visit to Normandy beaches & listening to Dale Booth, a very informative local guide! Also one of the unexpected wow moments was the light show on Chartres Cathedral!" Absolutely wonderful tour! From the great places we visited (the Cathedral and light show at Chartres, Leonardo's house at Amboise, the Chateaus, the winery, Oradour-sur-Glane, Sarlat, the 15000 year old cave drawings, the kayak down Dordogne, Arles, Pont-du- Gard, Carcassone....all left wonderful memories! Awesome! "Too many favorite wow moments to list just one: -the Chartres Cathedral...light show and Malcolm Millers' totally awesome tour and discussion inside. -wine tasting and lessons on French wine by Patrick in Chinon. -the trip down the cave to visit the 15000 year old CroMagnin drawings. -the beautiful scenery on the 6-mile kayak trip down the Dordogne. -the music festival and market at Sarlat. -the Medieval sword tournament at Carcassone. -the tour of the 1000-yr old Languedoc winery." I thought that this tour was very good...we visited two or three places that I felt we just didn't have enough time (for instance Leonardo Da Vinci's home in Amboise or at the Les Baux Carrieres De Lumieres). "For me, walking thru the Chartres cathedral after dinner one evening....it was around 9 and we noticed the Cathedral was open, so we went in. Only 3-4 people were inside, but music was being played and it was just so beautiful. We stayed another hour later and watched the gorgeous light show that lit up the cathedral around 10:30 pm. Just incredible. Another Wow moment was at the Carriers De Lumieres, a bauxite mine that was transformed into the coolest art gallery." Several of us are travel buddies and it was so much fun. I was in Chartres four years ago and missed a tour with Malcolm Miller. So, I was so excited to hear him and be in his presence. "I really enjoyed the museum near Arles that had the ruins of a barge. It was better than boat ruins in Scandinavia. Another great moment was the bayeux tapestries. Michaelanne talked about the history which really brought them to life along with reading ricks book on them." Overall, I thoroughly enjoyed my visit to the Loire Valley & the south of France. So many beautiful sites, gorgeous countryside & interesting history & culture. It was a great tour. "Hard to pinpoint only one! The gardens of Villandry - definitely a "Wow" moment! The prehistoric caves & drawings near Les Eyzies. The medieval town of Carcassonne." It was a great trip through western France! Learned a lot of history as always on Ric's tours. Great group of fellow travelers. Our guide was fun and not only gave us the history but also had great stories . "Very hard to decide this as there was so much that we saw. The stop at the village that has been maintained the way it was left following a Nazi massacre was a very emotional tour." A great variety of experiences that were organized well. Restaurants were all good. On the previous two tours we took, all the wine was included with meals. Most meals had wine included except first two. "I really enjoyed all the experiences but found the cave with prehistoric drawings as well as the quarry light show very interesting and different. The time spent in Oradour-Sur Glane was very touching and emotional." We really enjoyed the variety of sites and experiences offered on this tour. Our guide, Arnaud, was very entertaining and engaging. His assistant, Linda, was also very helpful, knowledgeable, and caring. In general the hotels were run by friendly staffs and fit the Rick Steves mold. "There were three things that stood out. The village where the Nazis killed all the inhabitants (Oradour-Sur-Glane)was very moving, the laser light show in the old rock quarry was unexpectedly entertaining, and an impromptu happy hour/wine tasting (where the tour members brought wine and food) was just a good time." Wonderful and awesome! Everything was arranged, coordinated and executed extremely well but with little surprises along the way (e.g. the picnic at the winery and the unbelieveable Carrieres de Lumieres which was fantastic and so unexpected). Room accommodations were very good to excellent, food was outstanding, and overall value for dollars spent was great. 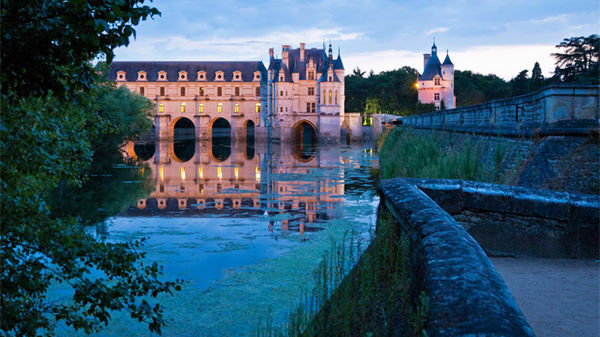 "All the chateaux were amazing, particularly Amboise and Chenonceau - but I loved them all. I already mentioned it but the biggest 'wow' for me was Carrieres de Lumieres (I felt I was walking through the art I studied and admired my whole life). Also, there was a smaller but still a 'wow' moment when I came upon the waterfall during our stroll in the gardens above Nice. Although not everything was 'wow', everything I saw was great and I loved it all." The tour was wonderful and we learned so much about France. Our tour guide, Arnaud, was wonderful and provided our group with information throughout the tour that was enjoyable, entertaining, and informative. This was our second Rick Steves tour and we plan to do many more. "This is hard to determine as all of the trip had many wow moments. If I have to pick one I would say the trip to the winery was exceptional. The reason I pick this is that the owners were true locals, did not speak any English (Arnaud did the interpreting), and provided us with a real life experience of a French winery. After the tour we sat at tables set up on the property and enjoyed a lunch with the owners, their wines, and the others in our tour group. Really neat experience." Tour was to places that I might not have visited without the tour, and the visits we're led by interesting and very knowledgeable directors. We love everything about how RS designs his tours. Amazing attention to detail. and ... ARNAUD! "listening to Arnaud in general...fables, jokes, history lessons. Oradour-sur-Glane was devastating. We had a lot of respect for how Arnaud, as a French person, was able to communicate the events which took place." Overall everything was great, especially I enjoyed meeting and sharing the trip with other like minded tourists. "Sitting in a vineyard on a long table and enjoying local wines and food in Loire valley." "The Cave Paintings in the Dordogne Regions was our WOW moment where we intimately were "there" 20,000 years ago. We so enjoyed the Cave Paintings in the Dordogne Valley where we experienced drawings from the last 20,000 years." This was our 4t RS tour and it was every bit as great as all the others. What really made the tour special was our guide Patrick He had a never-ending enthusiasm and a great sense of humor. His knowledge of French history and the local culture was superb! He was always available to answer questions and give advise where to venture out on our own. One evening, he arranged a special dinner at a local culinary school in Sarlat that was spectacular. The people on the tour blended well together. "Too many to mention, but probably the most moving moment, was our visit to the village of Oradour-sur-Glane. It is a French village that the Germans killed every man, woman, and child after the Allied invasion of Normandy. Then they proceeded to burn it to the ground. The French government decided to leave it just as it was and make it a memorial to all of the people that died. A very moving moment and a sacred place that no one will ever forget!!" I believe an outstanding tour is one you never have enough words to describe. A very good tour should have enough interesting moments that you feel it will take a long time to forget them. I rate this tour good because it delivered what it advertised but did nothing else for me. Of course my opinion is purely subjective. I am not interested in the history of the Roman presence and influence in France and medieval history. I would prefer learning more about living in modern France. From start to finish the tour ran very smoothly. Our fellow tour members were great companions and we enjoyed traveling with them, and guide Patrick was simply amazing as well as Roger our driver. This was our second RS tour and it met/exceeded our expectations. "The surprise stop Patrick planned for us at a quarry which had been transformed into a lights/music show. It looses a lot in translation...but take my word for it...it was spectacular. Carrieres des Lumieres in Les Baux." "If I must - The Aquaduct. and which is YOUR favorite child?" I've never been to Europe before, and, frankly, I was skeptical of going. But I'm a believer now! I loved France and would definitely go back in a heartbeat. The tour had such a variety of cultural experiences. I loved the cities we visited. I felt like the tour showed me the essence of France--the beautiful, charming, and quaint countryside. "This is a very difficult question because I loved everything we did. Everyday was like Christmas--they was something new, fresh, cultural, and exciting everyday." "I loved the canoe ride down the Dordogne River from Cénac to Beynac. What a beautiful setting!" This was our first RS tour, and it exceeded our expectations. I was prepared to stay in slightly better than hostel-esque hotels, but everywhere we went we had larger than expected rooms, private shower, and free wifi. We realized early on that the main value in this tour was being able to see and do things that we could not easily do on our own, and meet the locals like Madame Mayor who welcomed us into her town. It was also very easy to acclimate to the French culture with our seasoned guide. "It's hard to pick just one, but the moment I will never forget was in Carcassonne being tagged as the "lady in the green shirt" during our tour of the medieval city and watching my husband be "knighted" by our knightly guide Jeff. My tour members helped to remind my husband of his vows the rest of the trip, and I have a video to remind him if I need something at home as well!" My wife and I love visiting medieval cities,opulent chateaus with gardens,and look forward to good food and wine,so what is not to like about this tour? The pace was good, with a nice amount of free time. And Patrick, our guide, always volunteered to show us something "off the agenda" such as a rural hike through the French countryside. The group meals (picnic, lunch, winery visit, dinners) were a great opportunity to savor French delicacies and get to know our very cordial travel mates. "Celebrating a birthday in the medieval walled city of Carcassonne, with a costumed city guide, tasty dinner, and a late night walk to view the spectacular lighted fortress was certainly a "wow" moment. But how about the dinner at the culinary school with seven desserts and an expresso on a plate at the end of a delicious four course meal? Or the canoe ride? Or the Villandry gardens? Chenonceau? Chartres light show? Multiple "wow" moments." Patrick was a welcoming tour guide and very knowledgeable about a large variety of facts. He almost always had a response in fact or opinion. He was very flexible and attentive to every tour participant. Overall, he has been one of our best tour guides in a field of expert tour guides. We've been to France on several Rick Steve's tours but had not been to the South of France before. We thoroughly enjoyed the trip starting in Chartres with a light show that was architectural & visual. "Les Baux! I thought with all the in-tact chateaux and cathedrals available in France to visit on this tour, why would we visit a partially remaining fortress? Well because it is a "wow" with incredible and breathtaking panoramic views! The Roman Aquaduct at Point du Gard in southern France was also a spectactular "wow" in it's grandeur and as an engineering feat of accomplishment by the Romans." We enjoyed this tour, our exceptionally capable guide and mentor to things French, and many of the folks we met and got to know along the journey. This was clearly a journey through the heart of France, the ancient core of this beautiful nation of farmers, vintners, foodies, and philosophers. No wonder Thomas Jefferson and Ben Franklin loved France! While the carrying of luggage up spiral staircases was a challenge, it was worth the many values of staying in quaint, clean inns close to history. "There was so many "wow", each day being packaged just right for us, with options and guidance by our guide, Patrick. What Jim remembers as a surprise was the analysis, French-style, of the puzzle of who sketched the prehistoric cave paintings we saw 1/4 mile underground. Our guide logically unpacked the mystery, and concluded it was still a mystery as to why someone chose to sketch. But there were many, wow moments, to be sure." This is one of my favorite vacations as the tour experience was fabulous. I was solo on this trip and the tour mates were very welcoming and inclusive. Everything was planned perfectly. The little French villages were so beautiful and I gained a new appreciation/love for France. The activities were varied and interesting. "It is difficult to choose one favorite "wow" moment as there were several on this tour. The Pont du Gard, the fortress of Carcasonne viewed from the town all lit up at night, Van Gogh easels in Arles, the art in the pre-historic caves at Rouffignac, the gardens at Villandry, the outdoor market and learning to play petanque in Sarlat, canoeing on the Dordogne river and the music/light show in the quarry were some of my favorites." It was ideal, simply ideal. There was a perfect blend of experiences and information about the culture, history, and contemporary issues of France. It was joyful, thought provoking, and heartwarming. "There are so many WOW experiences. Several days into the trip, I laughed as I heard myself say, "well, that was definitely one of the main highlights of the trip". I laughed because I realized I had already said it while referring to at least five other experiences on the same trip." Terrific tour providing excellent experiences/expansive overview of France's exceptional diversity in history, geography, culture, food and wine. Much to entertain, enjoy and be inspired by; each day another impressive Wow! A hopeless photographer, even my poor execution happily documented gorgeous vistas, sights, gardens, vineyards. Numerous highlights on this tour: inside impressive buildings, outside wandering chateaux grounds, paddling the Dordogne River, awesome light shows. Magnifique! "I was fascinated by our trip into the Rouffignac Cave and eyeballing the prehistoric art. I was captivated by trying to comprehend the why and motivations for creating the engravings and drawings." The trip exceeded our expectations - very organized, led and well paced. Virginie was excellent as our guide. I especially enjoyed the historical discussions of each region, the french 'lessons' and the overall diversity of all the locations we encountered. "There were many 'wow' moments but perhaps the tour of Chartres Cathedral, the rock quarry at Les Baux, the trip to the winery, the Pont Du Gard and the City of Carcasonne were particular highlights." THE BREAKFAST AT TIMHOTEL WAS NOT THAT GOOD. THERE WAS RUNNY SCRAMBLED EGGS AND RAW BACON . I DIDN'T FIND FRENCH FOOD ALL THAT GREAT. I STUCK MORE TO THE ITALIAN DISHES OF PASTA AND PIZZA. THE TOUR GUIDE WAS GREAT AND THE SITES WHERE VERY INTERESTING. LESS CHURCHES AND MORE OUTDOOR ACTIVITIES. "THE CAVE TOUR PLUS MEETING UP WITH THE EURO TOUR 2018 EXOTIC CAR TOUR. SINCE I AM A CAR GUY THE CARS WHERE OF INTEREST TO ME. I GOT TO PRACTICE MY SPANISH WITH THE DRIVERS. MAYBE YOU SHOULD HAVE A CAR TOUR, VISITING CAR FACTORIES LIKE LAMBOURGHINIAS A SIDE TRIP." Wonderful tour. Great itinerary, wonderful, knowledgeable guides and beautiful countryside. "The light show on Chartres Cathedral and the display in the quarry on the Spanish Masters." "viewing the city of Carcassonne at dusk." The tour of the Loire valley was an eye opening experience. Our tour guide - V.More - shared her knowledge of the history of France and of the places we visited which added to what we were seeing and experiencing. "Definitely surprised as to the friendliness of the French people. We did not get any 'French frowns' due to our lack of the French language. A delightful 12 days! Loved the excitement in Chartres when the pilgrims arrived at the cathedral after their march from Paris. The parade of the marchers and the procession of the religious leaders into the cathedral was inspiring." Virginie More is a superb tour guide. She has an amazing amount of knowledge about the history of France and the use of a fictional family to explain how the French meet, marry and move through their lives was an excellent tool. She found ways to make every moment exciting and encouraged us to explore our specific interest. The tour group was the perfect size. The hotels and restaurants were all excellent and in great locations. This tour was well worth the expense. "The Pont Du Gard in Nimes." The tour was very good and our tour guide Virginie was excellent in every way-available, instructive, charming, knowledgeable, and so very helpful. The other tour members were just great-everyone was open, friendly, welcoming, and ready to share a new experience. I thought some of the hotels were below average although they were all in excellent locations. Also the food quality was uneven for our breakfasts and dinners. The itinerary was varied with something for every taste. "There were two wow moments for me. One was at the prehistoric caves where I marveled at the artistic renderings of bison, horses, rhinos dating back to our human ancestors. The other was the gardens at Villandry which just took your breath away in the variety, color, and planning of the place. Another moment was the last day as we stood in a circle on the beach in Nice just saying goodbye to our traveling companions and feeling the camaraderie of the trip we just shared." The itinerary, pace, accommodations,food, group members, and group leader all worked in tandem to provide one of the top vacations of my entire life. The weather helped. We were also fortunate in having a leader, Virginie, who not only knows her history and has a great personality, but also understands how to foster the learning process in very satisfying ways. And there was a lot to learn! "There were so many. The Chartres cathedral lit up at night. Going through Leonardo da Vinci's home in Amboise. The gardens at Villandry. The cave at Rouffignac. The "Medieval Man" doing his act at Carcasonne. The grim town of Oradour-sur-Glane. The water pouring down the streets of Les Baux during our only real rainy day. Being assisted by Virginie when I fractured a tooth and needed to go to a dentist in Arles." This was our first time taking an organized tour, so I can unequivocally say it was the best one I've ever experienced. We have travelled to Europe before and lived in Asia for 2 years so we're not exactly novices. The organization, pacing, and accommodations were great. "Because I didn't expect it, Pont du Gard blew mw away. Why a piece of an ancient water delivery system infrastructure would have this impact on me, I cannot articulate, but it did. So much effort and beauty invested in what many people take for granted." The trip was a wonderful look at different areas of France, the places, the history, the architecture, the habits unique to the people, and the highlights that went from ancient buildings to current light and sound shows. We had an advantage as a group. It was not too large for us to get to know everyone. Virginie has real ability and the training to have put us together, encouraged us to be engaged with all that the tour offered; what's more, she is really fun to be with. "We had a surprise trip to an old quarry where a light/sound show was magical. The venue was in a cavernous area of the quarry, and went on for 50 minutes of sheer delight. I could have stood there much longer." It is my second trip with Toni and she is so wonderful and works so hard at keeping us HAPPY! My HAPPY group was terrific! No whiners, none late and just a Great group. It is difficult to pick a highlight! Chartres was a highlight, but so were the caverns plus and all of the Roman history. My favorite town was Sarlat. A Medieval town at it's best! Carcassonne was a happy surprise and Jeff was a great Medieval soldier. Very much enjoyed his lecture given about the armor! "Pont Du Gard was much more interesting than I expected. I saw the film after viewing it and it gave all of interesting statistics about it. It filled in any questions one might have!" I had a great experience seeing Paris. My tour guide and tour group members were wonderful. "Seeing the Monets at the museum L'Orangerie. The local tour guide who took us through the museum was very informative and interesting." We had another wonderful trip with the Rick Steves team. It was a great group and the itinerary was terrific. We really enjoyed our opportunity to get in touch with the culture of the area. Toni did a nice job orienting us to the various areas we visited and the local guides were excellent. One thing that was a concern was the issue with transportation strikes that surfaced on the front end of our trip. We ended up taking a private car to Chartres and the additional cost was not planned. "Many "wow" moments, luncheon at the winery, the multi purpose art exhibit in the quarry, toasting each other with Champaign on the prominade in Nice." "beauty of spring time - flowers - just being in France found Sarlat and Nice most interesting cities from buildings to sense of identity"
Great group of fellow travelers and lots of diverse sites to see on our tour of Southern France. Tony was an excellent tour guide! "Hard to name just one.... top three would be 1)the light show in Chartres, 2)the quaint village of Sarlat, and the 3) magnificent chalets in the region around Chinon and Sarlat. Also enjoyed the wine tasting and lunch at the small winery outside of Arles." We had a great experience throughout the entire tour. Toni was a fantastic guide and the group worked well together. Our bus driver (Roger ... Americanized) did not speak any English, but we were able to cobble together enough French to ensure he was included in conversations at dinner and Toni helped with questions. Everyone bonded well - which makes for a pleasant adventure. "Chartres Illumination Show - absolutely breathtaking ... and then the Illumination show within the Quarry. Both displayed amazing technology and imagination and were an absolute joy to watch. Of course the castles and cathedrals were great - and "entertaining" the locals with our attempts to speak French ... especially when we mixed French, Germany, Spanish and English together! I was amazed at how helpful the locals were." The tour exceeded my expectations. I have toured some in France independently, especially the Loire Valley. However, having a tour guide who was knowledgeable about the history of the region made a big difference in my experience. Having local guides or audios also made the tour more meaningful. "The light shows at Chartres and Les Baux were unforgettable to me. Chartres Cathedrale is stunning on its own not to mention the local expert -- Malcome Miller, brought the stories told in the stained glass windows to life. I was also lucky to be in Chartres when a Medieval Fair was going on. The demonstrations of crafts and trade craft was very interesting. There was jousting, wood carving, rope making, stone cutting, stained glass demonstrations, and wondering minstrels. I loved it." Each of our six Rick Steves Tours has delivered above expectations. The reasons - two, first and foremost is the quality, knowledge and personality of the tour guides. Second, the numerous surprises, large and small, that reveal themselves along the tour that aren't listed in the tour synopsis. On this tour we were treated for the second time by having Toni Seymour as our guide. The previous year, Toni led us on the Best Of Eastern France tour, a tour we heartily recommend. "As a retired engineer, this year's "wow" moment was an easy choice for me - the Roman aqueduct at Pont du Gard. I'm still studying my photos in admiration and curiosity of how it was designed and built so long ago. My close second "wow" moment was my wife's first choice - the gardens at Château de Villandry." "I would say that Les Baux was probably my biggest Wow. And a big element of that was how unexpected it was to see the light show in the quarry and the vilillage itself, perched so elegantly on the outcropping . Second biggest Wow was very subtle but still left a lasting impression. We thoroughly enjoyed the stay in Sarlat . The market , the restaurants , the people ." This is our second tour, we did Italy in 2014 and I did not think it could be any better than that - but it was! We loved our tour of France, the itinerary was well thought out, and our tour guide, Toni kept us right on track. The local guides were all excellent and the food delish! We look forward to another tour in the near future. "I enjoyed everything....people have asked me my favorite part and it is very hard to separate because the diversity is not comparable. But, here you go: The night time light show in Chartres on the cathedral The canoe ride down the Dorgdone River The group dinners, can we say Foie Gros??? The chateuax, which one it doesn't matter, they are all fabulous! The cave drawings The market in Sarlat The Pont du Gard"
This tour was wonderful. This was our fifth Rick Steves tour, and they have all been excellent, albeit quite different. The tour group got along well, the guide was great, and the itinerary was very interesting. "The Chartres en lumiere show was fantastic. It is amazing to consider the artistic and technological creativity that went into this production." "That is hard to choose. It probably would be the light show in Chartre and at the quarry in Les Baux. We did not expect to do these things and it was such a surprise to see what the French do with their light shows. I also really liked the canoeing down the Dordogne. Such beautiful scenery! The Pont du gard also looked so much more impressive in real life than in pictures." Our first Rick Steve's tour. We have been using Rick's guidebooks for years, but hadn't ever considered a tour. Our goal was to visit France, and, as we began planning, it seemed like a tour would be a less stressful way to see the countryside. It turns out that the tour was filled with (wonderful) people who went about the process in the opposite direction: first they decided to go on a Rick Steves tour, then they picked the destination. Now we know why, and from now on we'll be doing the same! "The best day began with our descent into Ruffignac cave, was highlighted by our canoe trip down the Dordogne, and finished with dinner on the cobblestones of Sarlat. We had been looking forward to this day since booking, and it was even better than anticipated. Another, but unexpected, highlight was our visit to Carrieres et Lumieries in Les Baux. I entered skeptical and came out charmed." it was very good but not as good as Italy 1/12 yrs earlier. The scenery was beautiful, al little too much of the Roman ruins. When our Parisian shuttle driver asked about our trip on our way back to the airport, we told him what we had seen in his country. He told us that whoever planned the itinerary did an outstanding job. I felt the same. I loved seeing the medieval towns and the people in the markets. I enjoyed the company of fellow travelers and guides. I loved the having croissants every morning for breakfast! "Voila!" "The light show on the Chartres cathedral. Spectacular. It was the first night and everyone was tired. Patrick strongly encouraged us to go. I'm glad I went. I was stunned at the beauty and creativity of the presentation, and I returned to see it again the following night." Extremely fulfilling! Very immersive. Saw & experienced much more than I could/would have on my own. Several outstanding 'special' experiences: Malcolm Miller in Chartres; canoeing on the Dordogne; early entry to Ruffinac cave; knight experience in Carcassonne & Carrieres de Lumiere outside Les Bayx (which Patrick added on for us as a test case-please keep it!). Hotels were well-located & pre-trip expectations per your website & communications were accurate. Group size was excellent! "Carrieres de Lumiere outside Les Baux. Other highlights include things mentionned in #2 plus meeting Mdme Le Mayor in Mortemart, Pont du Gard & market day in Sarlat." This was the best tour I have taken. I learned so much about the history, culture and specialties of each place. Each meal together was a taste of that region and gave me an opportunity to try new foods. I enjoyed the towns we stayed in and the free time to explore on my own. The tour was very well paced. Our guide, Patrick Vidal, gave us good background prior to each stop so we knew what to look for and how to get around on our own, but he was always nearby should we have questions. "This is hard to answer because there were many special moments, but for me it was the Grotte de Rouffignac. The cave drawings were so detailed and clear it was hard to believe their age. Also the cave bear beds were amazing." All the stops and the pacing of the tour were excellent. The guide was highly knowledgeable, fun, and a great tour partner throughout the trip. "I loved the included meals with the tour, because it allowed me to get out of my comfort zone and try things that I probably wouldn't have normally ordered off a menu that were local and delicious." It was amazing how much was packed into each day of the tour and that there was plenty of time for self-directed activities as well. We sandwiched our tour with four days in Paris beforehand and 10 days in Avignon, Lyon and Beaune afterwards. (Of course utilizing the Rick Steve guidebooks). One thing we noticed was how much more we got done and experienced with the tour compared to using the guidebook. "Favorite - singular! Six activities stood out: the cave paintings and canoeing along the Dordogne area and the light shows in Chartre and Les Beaux ... oh, and the amazing presentations - the ones at Chartres Cathedral and in Carcassonne stand out." This tour had an excellent blend of art, history, outdoor adventure, markets, self-guided exploration, food, and wine. It focused more on smaller village France than on large cities, which for me was perfect. Local guide pacing was a low point for me across the board with excessive initial explanations, which left little time for the remainder of the museum, cathedral, or site. Our tour guide, Patrick, was amazing, and by far made up for anything lacking in other parts of the experience. "Can I have two?! 1. Canoeing down the Dordogne River. There's something about coasting down a river while seeing chateaus and villages nestled in the cliffsides that makes you feel at peace. It's hard to pick a second, as the gardens at Villandry were stunning. However, I think second place goes to an unexpected side stop at Carrieres et Lumieries which had a stunning light, music, and art show in a quarry featuring Picasso pieces. It was truly impressive." "Every place we visited was great so it is hard to pick a few favorites. I especially enjoyed Chartres cathedral, Amboise, the Rouffignac cave, canoeing down the Dordogne river and the Carrieres-lumberers. The village of Oradour-sur-glane was very moving." The tour exceeded my expectations! I was looking forward to the Chartres Cathedral, canoeing, the Pont du Guard, Arles and Nice for the Med but the tour had so many more rich experiences, it's hard to summarize. I learned so much from our guide about France, the people, the history, the culture and the food. Traveling with a guide beats traveling without one hands down. "Too many wow moments but some favorite memories are the crypt tour under Chartres, the fabulous light/music show in Chartres, Clos Luc, the gardens at Villandry!! !, the magnificent lunch provided by Patrick, Canoeing!, Sarlat on market day, the Knight at Cacassonne, sunset from my room in Arles, the Flower Power experience at Les Baux!, and the amazing blues of the Mediterranean in Nice. Did I mention the food? Wine? Cheeses? Wine??? Incredible, all of it! Thank you!" This was our third Rick Steves tour, and it was our favorite. The group was fun. There were no grumps and everyone was friendly and fun to be with. The itinerary included a mix of activities and the French countryside was beautiful. "The amazing light and sound show inside the quarry caves near Chateau des Baux was my "wow" moment. The art by Bosch, Brueghel and Arcimboldo with music ranging from classical to Led Zeppelin's "Stairway to Heaven" was a once in a lifetime sensory experience that I'll never forget." I loved the diversity of places and things we did on this tour. It gave me the opportunity to appreciate France outside Paris. Our guide, Toni, was welcoming and gracious. She was a delight to have as our leader. Some happy alignment of the stars must have been at work because we were part of a great group of people, making our trip even more memorable. Great time in France! "There were many "wow" moments, but perhaps the best for me was our visit to view the prehistoric drawings at the caves in Rouffinac. I had not done anything like this before, so appreciated the new experience. Our guide was very informative and left us to ponder the many questions that art historians are still considering today. It is a memory that will remain vivid for a long time." It was great. Best tour I have ever had. Wonderful people and staff. "Sarlat and Arles. I loved them both." Overall a great experience, fun to see a new part of France. Guide, Toni, set the tone on the first day when we met. Our group consisted of many RS alums who had met on other tours, kept in touch, and reunited on our 13 day tour of the South of France. There was an instant comradarie between the members of our tour family. Phillipe, our driver, was a joy allowing us to practice our French and joining us for dinners. Both Toni and Phillipe are professional, engaging and so much fun to be around. This trip more than met my expectations. "Les Carrieres de Lumieres in Les Baux de Provence. Unexpected and a jaw dropping experience of color, light and music. We all felt this was one of the best uses of a quarry EVER!" It was a wonderful group of people and We all got along well. My friend Sue and I had an extra day in Chartre and really enjoyed the shopping there. Beside the wonderful experience at the cathedral of course. Chinon was wonderful. Loved the wine tasting, learned a lot. Chateaux were very interesting and Sarlat was fun. Enjoyed the market. Caves and conoeing was a fun day, Arles was my favorite. Carcassonne was wonderful too. Good hotels and showers everywhere. Stayed in Nice two weeks after. "Wow was the gardens at Villandry. Being a gardener, I was in awe. The gardeners there were friendly and helped identify plants." This was our second RS tour and it continued to exceed our expectations. Our guide Toni was a delight, well informed and in tune with the groups needs and wants. The bus driver, Phillipe was also a delight, the bus comfortable, the hotels generally excellent and the local guides excellent, but what made this trip so special was the variety of activities that we experienced. From grand chateaux to canoeing on the Dordogne to the spectacular Carrieres des Lumieres Show at Les Baux. "A home cooked Provençal meal at a local winery. The food was delicious and the setting divine." Toni was great (again)! The weather was fantastic! The company was superb! A great bunch of RS's veteran travelers who enjoy the sights, the food and one another. France charms. Fine wine, incomparable history, and talented RS guides/docents to expound beyond the literature. "My wife and I loved the canoe trip. Of course the great weather makes a big potential difference. should have added a couple of days in Nice to the end of the tour. Nice is nice, blended Italian-French cultures. Best of both?!" This was our first Rick Steves tour and it did not disappoint. We were able to traveling freely without concern of reservations, parking, driving or where we were going to stay. Everyday we understood what to expect for the day and what we should be planning for. We had a great group of fellow travelers, many who had been on these tours multiple times. We had amazing weather and saw so many sites that we may have not done had we not been on this tour. "Stopping at Oradour-sur-Glane massacre site was very emotional for me. I had no idea this existed and was overwhelmed by the history and walking through this village. It is something I will never forget." "No particular one, I enjoyed every venue." One of the best tours that I have taken with Rick Steves Tours. Because of all the fantastic interesing places we visited. Our tour guide Toni Was the best. "The whole trip was a "Wow""
After a rocky start, the tour was well-planned & the plan was well-executed. Contrary to the RS France Tour Book, trains are not "(10/day...)" on Sunday. Even when there is no rail construction, the Paris/Chartres train on Sunday inconvenient at best. If the tour must start on a Sunday, recommend starting it in Paris, busing to Chartres for a 10:00 am Monday arrival & tours of the town & cathedral (scrap the glass tour), & spending one night in Chartres. Variety of activities was outstanding. "Two favorite "wow" moments for very different reasons. (1) Oradour-sur-Glane for the horror of man's inhumanity to man, woman and child. (2) Les Baux-De-Provnece Carrieres De Lumineres for the joy of quirky French inventiveness." My overall tour experience was everything and more than I expected. I loved it. "Bosch Brueghel Arcimboldo - a beautiful, enchanted theater in the underground galleries of the quarry in Baux-de-Provence. With paintings and music, this was truly an unusual work of art. Must be seen to appreciate. This was a stop that Toni added to the tour. One of a kind morning." A great variety of experiences. Lots of walking and I lost weight! However, individuals opted out at different times to relax and we did once or twice as well. I enjoy the unique hotels chosen. The best part is that everything is taken care of and it makes the experience stress-free. No planning, driving, buying tickets, deciding what to do or see, or waiting in line. "This is a difficult choice, but I have two favorites: Carcassonne's La Cite and the Pont du Gard Roman aqueduct. However, the winery and meal outside of Arles was such a cool experience, too. Not "wow," but still a highlight. In addition, the mayor's tour in French was great fun (forgot the name of the town)." Everything went smoothly as advertised. I noticed that the tour group has increased in size from 24 to 28. It makes it a little tighter on the bus, but certainly there is adequate room. We had great weather which of course was arranged by your office in advance!!! "I really liked Arles. It had a different, bohemian feel to it which was a nice change from big city and/or medieval experiences. The light show in Chartres was a nifty surprise." The tour - length, stops, hotels and group meals - was excellent. The well-planned itinerary was a good mixture of art, history, and culture. "Having taken a Rick Steves' tour (Heartland) in 2002 that included Chenanceau, I really enjoyed Arles with the mixture of van Gogy, Roman structures, forum." The sights were impressive and memorable, but missing what I felt were the usual Rick Steves WOW. Too much emphasis placed on 'vineyard tours' which showed very little, but emphasized the purchase of wine. There was also some site duplication with the Paris & The Heart of France tour. Initially, the food lacked quality but improved toward the end. "The visit to Pont du Gard was very memorable, but not enough time was allowed to view the aqueduct and its museum due to lost time at a vineyard." Overall the tour was very good. I loved seeing the small towns in the country side of France. The history outstanding. I really enjoyed Patrick, he is a very good guild. One suggestion for improvement would be on the food. It is good to try some of the traditional dishes but, some of them can be quite rich and heavy. Several times during the trip I had to deal with some digestive issues due to the heavy nature of the food. I would suggest making sampling available but allow some lighter options. "The 15,000 year old cave artwork." "Probably Malcolm's tour of Chartres Cathedral"
Patrick was a great guide, very knowledgeable and fun. We saw a lot of sights and a good variety of activities. it was a great tour! Enjoyed learning about the history of the areas we visited and also the times we were able to explore places on our own.Great food and wine. "i had 2 "wow" moments: -the Rouffignac cave drawings were amazing and incredible to see. Hard to believe that they were drawn so long ago and are still preserved. -the light show around the entire town of Chartres. What a great and fun way to start our journey!"
. As always (this was my fourth Rick Steves tour) I was happy to find the hotel, meet our guide Patrick and a couple dozen enthusiastic adventurers and set off on 2 weeks of exploration. All the hotels were fine, but the ones I loved were the historic - and inevitably quirky - ones. Food was fabulous, Patrick outstanding, our bus driver always cheerful and expert at negotiating the narrow roads and sharp corners. I loved every minute. "My absolutely perfect day was in the Dordogne region. We visited Rouffignac Cave in the morning, fulfilling a lifelong dream to actually be in the presence of the ancient cave art made famous by the discovery of Lascaux. After lunch in the sun at La Roque-Gageac, a little vertical town squished between soaring cliffs and the Dordogne River, we boarded canoes (my first time) and drifted down the river for what, in retrospect, I like to think of as all afternoon." Another GREAT Rick Steves' tour! From start to finish, this tour exceeded my (our) expectations. "Arles - Walking out of our hotel into the early sun-lit morning, with a crystal clear blue sky overhead, and seeing the Classical Theater (Theatre Antique) to the left, the Roman Arena (Amphitheatre) to the right, and the children walking to school directly ahead. It was a totally awe inspiring sight." Since this was our sixth Rick Steves tour, we knew what to expect. We have always enjoyed the tours and thought that the itinerary was an excellent one. 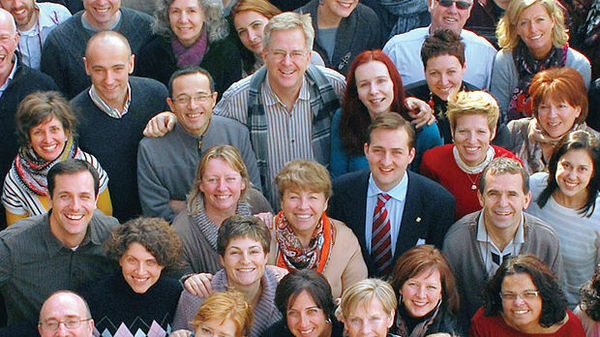 We have always enjoyed the groups on a Rick Steves tour. "The cathedral in Chartres was incredible. We really enjoyed the local guide. The light show at night on the cathedral and throughout the town had to be seen to be believed. It was a great start for the tour." My experience on the Loire to South of France was very good. I look forward to meeting our tour guide and the many new friends we will make in the following 2 weeks. There were many wonderful sights we visited and the history we learned is so interesting. The culture, the food, the friends we made and our very entertaining guide, Patrick, made for another amazing Rick Steve's tour. "It's difficult to have only one WOW moment but I thoroughly enjoyed our day visiting the Rouffignac Cave with our informative local guide, Jean. The small villages we visited after that, followed by the canoe trip down the Dordogne River. Even though it was a rainy at times it was a WOW day for me!" One of my best tours I have taken. I would recommend this tour to anyone. "1. Dordogne River area - La Roque Gregac, Sarlat, and the Cro Magnon cave art. 2. Chartres cathedral light show - Cathedrals and ancient temples and statues were painted. Living color pulls the worshiper closer to a living god or goddess." Another great travel experience. This was an itinerary that I really wanted, and it didn't disappoint. Our guide and group were excellent. "The light show in Chartres was one of my wow moments. We saw the catherdral in daylight and it was beautiful. At night, the light show with music made it more spectacular." First, I'd like to thank Patrick, our guide, for making this such an outstanding, memorable, educational and fun vacation. The towns and sites visited were great, the accommodations were in the middle of the old towns which made strolling around easy. The group meals were exceptional and truly showcases the best of each area. The group was very fun. Everyone was a 'Rick Steves' type of traveler: cheerful, on-time, excited about our backdoor experiences and fun to be with. "My favorite 'wow' moment was Chartres. Malcolm Miller's tour of the cathedral was so entertaining and educational. Really made medieval stain glass story telling come alive. Also we were there during the time the town has lights and music on key buildings at night. Absolutely fantastic experience." "hotel in Nice was front row on the beach"
I have been a proponent of Rick Steves' approach to foreign travel for a long time and have taken many independent solo trips before signing up for a RS tour. Despite my hesitation about group tours, I signed up and was completely satisfied! Between the benefits of our excellent and experienced guide, the camaraderie of my fellow travelers in the group, and the unique sites and experiences I would have missed on my own, I was completely happy with my trip. "Our guide, Patrick Vidal, took us on an evening walk in Carcassone. I was warned by Rick's book that a daytime experience there was likely to be disappointing, and he was right. The distant vistas were magnificent, but inside it was a mob! But that night, walking through the dark and empty streets, I had a completely different experience. Current time fell away as we walked, and the evening was completed by a view of the fortress by night from a town bridge. Just stunning!" "The experience of viewing the Mediterranean Sea for the first time." Great variety throughout. Loved the smaller town with so much history, the beautiful gardens and the farm to table food, and of course being educated about French wine. This was our third tour so we knew what to expect and we not disappointed. "Probably Pont du Gard. An awesome sight to behold and to be able walk across it made the experience complete." This tour, as all 7 of my past tours, was a total blast. Day by day, Patrick Vidal took us to yet another marvelous experience. Even on periods off agenda he offered to take us on wonderful additional adventures. "Oh so many. Maybe the laser light show in Chartres. Hiking up and wandering around Les Baux was also spectacular. Oradour-sur-Glane was a very moving experience." "We liked all of our destinations along the way, but the beach, and hotel, at Nice was our favorite. The weather was cooperative and we had a good mix of group activities and time in smaller groups. The town of Nice was a wonderful place to explore and sample the shops and restaurants. Our weather did not allow us to swim, but we enjoyed it all anyway." This was my forth trip with your company. It compared very favorably with the others. Always a good group of friendly people to travel with. The tour gets you to places that are very interesting and enjoyable, places that would be difficult to research on one's own. Everyone is aware of London and Paris. Our tour guide, Toni, was outstanding. Her efforts on behalf of the group and ourselves was greatly appreciated. "One thing I was anticipating prior to the trip was the cave art. I did not know exactly what to expect. I found it very interesting, indeed. I would also point out the light show in the quarry as something very unique." From the first glass of wine our tour guide, Toni, offered at our meeting in Chartres, to the last goodbye, this was a delightful tour of France. This was my 5th trip with your company, all of which have been great! There were so many sights we never would have found traveling on our own, and between Toni, our bus driver, Phillipe, and the city tour guides, we were treated to a great deal of knowledge. "Walking around the town of Sarlat was especially nice for me. The convenience of the hotel to the town was perfect, and the market day was fun. Not sure I could be a good shopper in France, as I do appreciate the ease of supermarkets, but it was interesting, and seeing the various foods for sale was enlightening. The food at the restaurants was great. A real "wow" was the town of Les Baux, the hill town. Our day was sunny with clear skies, and we could see forever. All of the gardens!" This our very first Rick Steves tour far exceeded our expectations. I loved the historical aspects of the places we visited and the sheer beauty of so many of the sites. It was just the right balance of guided tour time and enough free time to give us some space from the group. I always felt safe on the tour and we never would have experienced all that we saw and did if we had been on our own. "I was awe struck by much of what we saw on the tour. Chateaux de Villandry and its' gardens were breathtaking and impressed by La Cite in Carcassonne." We had a wonderful time and the connection with our fellow travelers was just right....a good mix of folks. Philippe, our driver was wonderful and connected with all of us. His interaction with Toni was a very good match....fun times. Guide Toni did a very good job. Most impressive was the variety of things we saw. At the end of each day we said,"Wow" that was terrific! Everyday we saw something different. Great time of year to go as gardens were exquisite. Food and recommended eateries were good. Last night in Nice, hotel's location was great. Bus driver was good too. Have been telling everyone that this is the one you want to do. (We've been on the Croatia and the Portugal tours which were good but this had more "WOW"! "Light show at the quarry and the gardens. Also how well things were kept up." I enjoyed each facet of the tour - itinerary, accommodations. food and wine, our tour guide and driver, as well as fellow travelers. "The gardens at Villandry and the canoe trip down the Dordogne were my "wow" moments." Our guide Toni was a consummate professional who made it look like she wasn't working as she guided us through our adventure. Congenial fellow travelers, wonderful sights, good pace, independent time and stunning surprises made the trip very enjoyable. Our group meals were quite good. Extras like an appetizer party before a free evening in Sarlat and a champagne toast to our time together our last night - out on the Promenade in Nice - made it a memorable trip. "So many. Perhaps the one moment that is most memorable is the lunch on the terrace of a winery where the owners (a husband and wife team) produced a delicious and beautiful lunch for us all. Or it could be kayaking on the river under the Roman bridges. Or the magical light show in the converted cave. Who can forget the stunning gardens at Villandry????" Very good trip, liked the variety of sights ,this was 4th trip and we ranked it number 2 of the four. "I don t know that I had a wow moment , just enjoyed the sights and domestic dynelse doing the eork"
The guide, the driver, the French people, the food, the sites, the everything about the trip was fabulous! "We stopped by a field of the most gorgeous sunflowers I have ever seen. The field was as far as the eye could see; the flowers were perfect; the sun was shining...perfect wow moment." Thank you for organizing such a wonderful tour. This was our second tour (having been on the "Paris and the Heart of France" tour 3 years ago, and it was just as good (even better?) than our first experience. The meals and hotels were great, our tour guide and local guides outstanding, and our fellow tour-members tolerant, supportive, and fun. We appreciated the variety of experiences we enjoyed each day, from castles and cathedrals to picnic lunches and canoe rides. Bravo! "One particular day stands out as exceptional: 14 Juillet, the national holiday of France. From Sarlat, we went to the prehistoric caves of Rouffignac, where an excellent local guide led us on a miniature train ride deep into the grotto. There we found beautiful and sophisticated etchings and drawings of horses, mammoths, and other animals, created by a hand with the deftness of a Matisse. It was truly awesome. We topped off this experience with a canoe ride down the lovely Dordogne River. Wow!" This is my 4th and best tour ever because of 2 reasons: Julie and the tour group. I also really appreciated the variety of senses in this tour - tasting cheeses, smelling, learning, and tasting wines, physical activity of paddling down the river, playing patanque, to the mental and physical anguish of visiting Oratour. Thank you for that. "Paddling down the dordogne river. Light & art show in quarry. It was the best trip I've ever had without pharmaceuticals." This was the best vacation that we have ever taken. Our guide, Julie, made this tour an extra special way to celebrate our 25th wedding anniversary. She was very knowledgable about local customs and history. Plus, she tended to individual tour members'needs, including a tour member's twisted ankle and another's digestive issues. Additionally, Julie included a number of "surprises" along the way to make the road trip more fun. "I had so many wow moments that it is too difficult to name one over the others. However, I was most emotionally moved when we visited sur la glane and Julie got choked up telling us about the Nazi masacre of that little village." Well put together trip. Guide (Julie) was great. Traveled Europe several times on my own. This was much better. Group was terrific (of course I should have expected that - given the cost and timing). Enjoyed not having to find hotels, meals, tickets, wait in line etc. Made for an efficient use of time. Bus was comfortable. Found no bedbugs when home!! Only shortcoming was too many dinners "on your own". Lunch on your own is ok.
"Pont du Gard. Museum was great. I wanted at least 2 or 3 hours but had to leave after one. Still don't know how Romans could have built so much with limited resources." This was my first time on an escorted tour and I loved every moment of it. I definitely look forward to taking another Rick Steves tour in the future. Julie was a wonderful guide. She was so knowledgeable and fun to be around. The group was fantastic and I enjoyed everyone's company. The accommodations were excellent, the food was great and the tours were fun and educational. I'm very glad I took this tour. "That's hard to say. There were so many. The light show on the cathedral in Chartres and the songs of the sea concert we happened upon there were a great start to our trip. The villages of Sarlat and Carcassonne my favorite stops. I loved the medieval old town centers and exploring the tiny streets." Overall, lovely. We have taken the best of Italy tour and had high expectations. Although very different, we thought it was wonderful. Especially liked: Arles and Sarlot cities; Chateau des Baux; Carcassone Castle. I have to say the Oradour-Sur-Glane memorial is something I will never forget. You should absolutely keep this stop on your tour, important history everyone should remember. "Dordogne River canoe trip and QUARRIES OF LIGHT favorites. Carcassone Castle...WOW"
I thoroughly enjoyed seeing sights that would be difficult for us to visit on our own. (Cave drawings for example) Julie was our guide and she was excellent! Always helpful and very knowledgeable. Just the right amount of tours and free time. "My favorite moment was the cave drawings. They were amazing and so hard to imagine how and why they did it. This was one of trips I don't think we would have traveled to on our own." Well scheduled, nice pace, superb guide, great bus driver combined made this a very enjoyable vacation. Really liked the Rick Steves company approach to travel. The combination of included activities and independent time seemed about right. Compared to our past couple Europe tour companies , this is an improvement. Really felt like we were not missing anything as we went. "Probably the visit to Carcassonne. The Knight's tour followed later by the lively family meal within the walls was topped off by a late evening walk down to a bridge to view the fortress bathed in lights. For a brief visit it is all you could want." Enjoyed the itinerary which was, for the most part, in smaller towns and away from the big city. Unfortunately rain for a stretch of days interfered with some outdoor activities which was disappointing. Virginie, our guide, adjusted as best she could which is what we have come to expect from a Rick Steves tour. "The light show on the Chartres Cathedral was far beyond our expectations. The Pont du Gard in real life is so much more impressive than any picture can show. The museum there was interesting and would have spent more time there if allowed. The surprise visit to the light show in the quarry was amazing." I can't think of anything to improve on. Each site was obviously chosen with care, all were worth while to see, our guide Virginie was excellent, and our travel companions likable and fun. I wouldn't change a thing. Even the bus driver was charming and likable. "To mention a few standouts, the beautiful views from Baynac Castle and the Dordogne River, the Pont du Gard, the amazingly preserved and still-used Roman coliseum and amphitheater in Arles, Sarlat's charming Saturday market day, Chateau Azay-le-Rideau and Villandry's gardens, the cave drawings at Rouffignac, Malcolm Miller's lecture at Chartres Cathedral, the amusing and knowledgeable city guide in Carcassonne, and ALL of Nice. A lot of "wow" moments to choose from." Virginie was an outstanding guide; and, she arranged surprise "extras," was attentive to and assisted individual group members who developed health /medical problems during the trip, and was always available to advise us about good use of our free time. The itinerary was very good. Accomodations were very good. Breakfasts were sometimes very good, other times adequate to good. Group dinners were adequate to good. Malcolm should be requested to use the whisper system. "Night time light show at Chartres cathedral." The people were great, the tour was diverse and interesting, and the guide was always on point.Loved the experience. "The solstice celebration in Nice was one of our "WoW" moments. We thoroughly enjoyed Villandry and its' beauty and practicality. Canoeing on the Dardonne River while looking at the multiple Chateau(s) provided diversity and set the trip apart from anything we would ever thought of doing on our own when visiting another country. Our favorite city to explore was Arle but we loved the charm of Sarlat!" Met my expectations and had a very good time. Saw, experienced more than we could have alone. I found the pace fine. Our group accommodated and looked after four or five people who were not able to fully participate. Minimal amount of cliquish behaviors. We had a great driver and guide, with spacious bus. The canoes worked better for me once I was kneeling, rather than sitting on the bench seat, which stretched the groin muscles overmuch. British and French kayaking teams were hilarious. "Carcassone tour with our own medieval knight, meeting his lady, entire presentation. I'd have enjoyed hearing from her, in costume, as well. Train into Rouffignac Cave & its prehistoric art. Arles and Nice tours. I've loved Arles for decades, from various novels. Reality met my high expectations! People were most gracious, in English or French, and so much fun to talk. Visited with 2 ladies (French, Montenegro) in Sarlat. The Quatre Saisons in Les Baux - odd!" We did sooo much and covered sooo much ground which would have been impossible on our own. Our guide was energetic and knowledgeable and fun. I loved seeing the different areas of France and with Arnaud's help knowing what the local specialties were, the local culture and sights. The tour ran smoothly with clear expectations and "rules" which was helpful. The local tour guides were jewels! They loved their subjects and it showed. From the cave to the cathedral they were all excellent. "Calvin in the Chartres Cathedral gave a unique, rich, depth of perspective that I'll always treasure. Canoeing on the Dordogne was idyllic and a relaxing way to see the views. I loved the group picnic that Arnaud shopped for--a chance to try things I never would have otherwise. The meal on the terrace cooked by the vintner and his wife felt like France profound." This was a great experience to see the countryside of France. We were able to see the castles of the Loire, multiple Middle Ages towns. I felt after the tour that I had a much better understanding of France and the French people. We ended in Nice on the first day of summer with musicians playing in the streets and on the beach till all hours. That was really cool. "The palace at Villandry was probably the most spectacular of all the castles that I've seen in France. The gardens were truly spectacular." I had the best time. Our guide, Arnaud, was exceptionally knowledgeable, funny, very well organized, charming, and a lot of fun. I thought the tour had a good pace, overall the hotels we stayed in were better than expected, and I felt I definitely learned something about the country and the people of France. "Walking up to Chartres cathedral the first time." Our first Rick Steves tour, Loire and the South of France was a fabulous one! Every day brought delightful experiences, fabulous food, education, and making new friends. Starting in Chartres with it's awesome cathedral and ending in gorgeous Nice we were never disappointed. The schedule allowed for plenty of active sightseeing along with time for rest and seeking out sights on our own including a day off in Sarlat for shopping the local markets for goodies for the next day's picnic. Fun! "Each day included great moments, but my favorite may have been visiting Grotte De Rouffignac and seeing the prehistoric cave art. It was an experience that I won't forget. I also really enjoyed the opportunity of getting to hear Malcolm who spoke to us about the Chartres Cathedral. What a privilege." An excellent tour and a fabulous tour leader! "Hard to choose, but the trip in the Rouffingac Cave and the visit to the Post du Gard were definitely wow moments for me. The best city we stayed in was certainly Sarlat." Second tour with Rick Steves- met my expectations- which were high based on my experience in 2016 Ireland tour. Every day was an experience to remember. The destinations were chosen so that none was like another. We couldn't see everything, do everything, experience everything or eat everything, so the choices we sampled were very important. I felt as if I had gotten a great overview of a big area along with very close inspection of a few destinations. I cannot say enough good things about the local guides and contacts. Such lovely innkeepers and such good service at the dinners. "For wow views, the glimpses of life at Carcassone and the wonderful local guide, knight Jean-Francois. For pure beauty, the gardens at Villandry and the beautiful location of Chenonceaux. But for the most affecting experience, the tour of Oradour-sur-Glane, enhanced so sensitively by our guide Arnaud, will be with me forever. To understand 50,000,000 dying in World War II is beyond me. But to stand in that burned out village and know what happened there was a beginning." This was my first Rick Steve's Tour. It was fantastic. France is a beautiful country with wonderful people, great sights, delicious food and the best wines. Our guide Arnaud was outstanding. He was incredibly organized, friendly, informative, and entertaining. It was wonderful seeing things through his eyes and learning more about France's history, and current political and cultural happenings. Our bus driver Philippe was the best! The mix of organized activities and free time was perfect! "There were so many "wow" moments. But I loved the Chateau at Villandry, our very emotional visit to Oradour-sur-Glane, and our visit to Leonardo da Vinci's home in Amboise. Our free day in Sarlat at the market was so much fun and the best place to pick up gifts and treasures. Another "wow" moment was the realization that the french people are really friendly and welcoming." Very good companions, good guide, good bus driver. I wish more of the hotels had had better working AC. It was 20 degrees F higher than normal for most of our tour. Humidity to match. Also, I had a couple of medical issues, but no recommended resources for them. Minor enough for a Dr. visit but the only option was taxi to an ER. "Pont du Gare. But so changed from my memories of 20+ years ago." Loved the variety, not too many churches, castles, or chateaus! "Loved the light show in Chartres at the Cathedral, seeing the inside of a lived-in Chateau de Villandry, train into the Rouffignac caves, WWII martyr village, Sarlat Market day, and my favorite of the Carcassonne's - wandering the ramparts and steps." The tour was well planned, many sites we probably wouldn't have known about that were very interesting, and a good group of folks to enjoy the journey. I felt some of the evening meals for the group were only fair, but the conversation with our tour mates was excellent. There was a good amount of free time and the food and wine options were many. The bus and the driver were first rate, but in this day and age it would be nice to be able to charge electronics on the bus. "It's hard to nail down just one, but the blue of the Mediterranean Sea was awesome, and at night it was a jewel. Second would be the cathedral at Chartres, the stained glass windows are amazing, as is the night light show." Such a rich overview of French historic highlights and daily life including rural areas and small towns that I especially appreciated. As ever, the pacing and inclusions were exemplary, making a RS tour so enjoyable and enriching. We had a convivial bunch, led by our amiable guide Toni and amazingly adept driver. Thoroughly loved it all! "So hard to say! Perhaps the Pont du Garde, or the gardens at Villandry, or the Carrieres de Lumieres sound and light show in the quarries of Les Baux...or the sound and light displays around Chartres! Those were "Wow!" moments, but there were so many equally gratifying experiences that were subtler or less surprising, but no less appreciated as part of our experience. The villages of the Loire Valley were a highlight for me, as was Arles. And the Sarlat Market. Loved it ALL." It was a wonderful trip. The places we stayed at were great, the food was outstanding, our tour guide was knowledgable and very helpful, and the people on the tour were fun to travel with. As always our Rick Steves tour was a great travel experience. "I especially enjoyed the canoe trip down the Dordogne River. It was a fun way to relax and see some of the French scenery along the way. The chateau and gardens at Villandry were pretty awesome as well." I am a small 71 year old woman, 5ft. tall 115 lbs. who travelled alone from Eugene, Oregon; my husband and sister couldn't go, this was my 6th. trip to Europe, first with your tours. I wanted a safe, structured, group experience to specific areas. Two friends from French class did this tour in the past and raved about it. I needed to go too. "When I was on the plane from Nice and finally realized what I had done, I couldn't stop smiling. I spent 17 days carrying my own stuff (occasionally getting help lifting luggage)the trip happened without a problem or glitch of any kind. Other tour members accepted me and asked me to join them throughout the trip. They were very helpful and I am so grateful. I was prepared and arranged all the details of your tour, motels, flights, bus, and train transportation without help." Another fabulous R/S tour! Number five for us, wonderful travel companions as usual, with great local hotels, guides, and schedule. Toni was professional, kind and oh so knowledgeable of the sites and towns visited. "The light show in Chartres and lunch at winery." My husband and I LOVED this tour! It was our 6th tour with Rick Steves' and it has become one of our favorites. The cities we toured were perfect. The time of year we went was ideal. Our tour guide, Toni Seymour, became a close friend and was one of the many reasons we loved this tour so much. "We had several "wow" moments and probably the first was the Chartres Cathedral. It was amazing and our tour guide,Malcolm, made it even more special as he described the history in detail. The second never-to-be-forgotten moment was strolling through the streets of Sarlat. That golden city charmed us both! But, the real "wow" for us were the everyday moments that helped us develop our friendships with the other tour members. What a great group of new friends!" Another great tour! More low-key than our past tours, but an amazing experience nonetheless! Great group, wonderful weather and an awesome guide (Toni) made for a very enjoyable trip. Food and wine were great, France was lovely, the French people welcoming. "In the first city, sitting in Chartres cathedral, listening to the incomparable Malcolm share the history of "his" cathedral. What a treasure! Then in the last city, on the beach in Nice. Lovely! Great bookends for two wonderful weeks." I had fun! The tour lived up to all my expectations and more. The areas of France we visited are lovely and unique in their own distinct ways. This tour provided a variety of amazing experiences. "I loved the impromptu tour the mayor of Mortemart gave our group. She was charming and spoke clear, simple French! The art/music presentation at Les Baux-de-Provence was very moving. I'm glad Toni was able to arrange this for our group. Even though I am not a canoeing enthusiast, I am pleased I canoed on the Dordogne River!" Obviously what you, yourself bring to a tour and your outlook can make or break a trip. We have always approached these tours with an open mind; it is an adventure and an opportunity to learn and experience places and cultures we are not familiar with. Our adventure in France was amazing! Toni. Set the mood right from the start and we were part of a very friendly and fun group of people that we were able to get to know better than any other trip we have been on, thus a great time! "The gardens at Villandry were absolutely incredible! The variety and blending of colors and the various shapes of the leaves from the flowers and vegetables created such beautiful designs within the garden!" This was our second RS Tour, and the first with multiple bus trips. We greatly enjoyed the trip and especially the group, which got along together very well (no grumps). The variety of sights and experiences was something we could not have easily arranged on our own, and our guide provided the information to get the most out of it all. In some places I would have liked more time, but I can't think of anything I would reduce to allow that. "The tour of the Cathedral in Chartes with Malcolm and the cave drawings were not to be missed, but the "wow" was dining in the square in Sarlat with a jazz group starting to play, and a half dozen of the couples from the tour gathering to enjoy the performance after we finished dinner. Enjoying a beautiful evening with our fellow tour members was special. The wine tasting provided by our hosts in Chinon was also a special experience, very informative (and tasty)." This was our 7th RS tour and it lived up to the standards of the previous six; excellent tour guide, just the right mix of structured and unstructured time, great hotels located in the thick of things, dinners that explored the regional cuisine, a small group of diverse travelers - no grumps. The list could continue but I believe I have made my point and explained why we will continue to go on RS tours - simply put, they are the best! "My "WOW" moment occurred before the tour actually started. It occurred as we left the Chartres train atation and had our first view of the Chartres Cathedral rising above the town; it was spectacular! A second WOW was the Chartres Cathedral tour led by Malcolm - the world expert on the church, its windows and its history. My third WOW was the canoe trip down the Dordogne River." Fabulous guide and bus driver! Great hotels! Beautiful places. The video show at the quarry was something I will never forget!! Absolutely mind blowing! That being said, I realize for schedule purposes and geography of bus travel this may not be possible but there was simply not enough time at Oadour-sur-Glane! It was one of the highlights of the trip and I would suggest losing some wine tasting nonsense for a more meaningful experience historically speaking. "Since I cannot pick just one, as mentioned above it would be the scenery in general of the Loire Valley, Oardour-sur-Glane, the video at the quarry, canoeing down the river,and getting the history of everywhere!" Met all expectations; was my 3rd tour. Overall excellent. Well organized. Comfortable pace, did not feel pressured along. Ample free time. Excellent tour guide in every way. Sites well picked and those additional guides very knowledgeable. Great bus driver. Wonderful food. Bus always clean and comfortable. Excellent accommodations. "The ice cream. Understand, I normally do not like ice cream. The martyr village." As has been the case with my other Rick Steves' trips, this tour was terrific. Our guide, Julie, was so pleasant, funny, and knowledgeable. The other tour members were all friendly and great to get to know. The itinerary was well thought out and I am impressed by how much more I now know about the history, the art, the politics, the geography and the food & WINE of France. It made me want to visit more of France next year because I feel like I now understand much more about the French people. "Canoeing on the Dordogne was fantastic. Gliding down the river with my wife on a warm, sunny day, looking at nature, Beynac castle, and the local village was a great opportunity to renew my spirit. A perfect activity for a mid-tour change of pace." The tour was absolutely outstanding. Loved the smaller cities and towns and was also a fan of the outdoor excursions. It was the perfect blend of experiences. "How can we choose just one? But evaluating everything I think it would have to be the prehistoric cave. Exceptional experience." It was truly a great time.Our tour guide, Julie, was second to none. The local guides we had were knowledgeable and personable. Julie was adept at the "cat herding" that is so necessary on a tour of this type. As always, the "lessons" on the bus between points was entertaining and informative. I, unfortunately, suffered a medical issue at the beginning of the tour and had to go to the ER in Chartres. Julie was right there with us for nearly 6 hours and again in Chinon for a 2 hour folw-up. "Nearly impossible to identify a single moment, but right up there at the top would be the immersive art show at the quarry in Les Baux. I think that was one of the most amazing things I've ever experienced." This is our fifth RS tour. As always, the tour was well put together and has a nice blend of planned activities and free time. "For me it was the light show at Les Baux in the quarry. I don't recall it being listed in the itinerary and so was a great surprise. The Martyrs Village at Oradur-sur-Glane was very moving." I found France to be modern, historic, scenic, constantly variable in geography, friendly and delicious. Our tour group was friendly and sociable, mixing it up at meals and walks. Our tour guide, Julie, was a good teacher and fun to travel with. We got a nice blend of history and politics on our "bus lectures." The time we spent in each town was about right. There was a good mix of group activities and free time. As I travel more with RS, I find I value the free time more! ""Wow" was all I could say at Chartres cathedral light show. I didn't think anything could top that. The second night there, we stayed to watch both the shows and saw even more delights. But then, we went to Les Baux. The fantastical quarry light show was the most amazing man made event I have seen. It would have been great to stay longer and see the light event a second time. Amazing!!! Although not a wow moment, I enjoyed the wine tasting (and the best wine of the tour) on our way to Arles." great weather. enjoyed meeting all the interesting people on our tour group. enjoyed the great food and wine. "I enjoyed the picnics and bachic ball games with the group I guess i do not do "wow" moments- Ricks tours are all" wow" suggest you modify the stain glass talk much to long. just a 40 min demonstraton of making and object"
A fine tour that I would recommend to anyone who is at least moderately mobile. I did the Paris tour first, followed by this tour. If time allows, I think this is the best approach, rather than combining the two. "The gardens at Villandry top my list with the Roman aqueduct at Le Pont du Gard a close second. Pictures are just not close to capturing either one of these. You have to be there to be there." "Four. Oradour-sur-Glane, Pont-du-Gard, Chenonceau, Amboise (da Vinci)"
LOVED our 3rd Rick Steves tour! Rick has mastered the tour industry with his philosophy of getting close to the locals and having experiences one might not have on their own or on any other tour. Julie, our guide is fabulous! Our tour mates are fun, kind, interesting and helpful folks to spend 13 days with. "I can't choose just 1 WOW moment, so I'll list them in no particular order: The story Agnes told of the youth choir from Colorado who sang at the July 14th memorial and in the St. Rita Church in Nice was very touching. The Carrieres de Lumieres light show in the quarry, what an amazing & delightful expierence. This was not on our itinerary and it was a wonderful surprise! The town of Oradour-sur-Glane, the town frozen in time, so, so sad. HOW had we never heard of it?" The tour locations were very interesting. Local food and wine were outstanding. Our tour members got along very well. There were many interesting people on the tour. The sites were entertaining, poignant, sobering, beautiful, delightful, grand and awesome. Some sites a mix of some or all. "Chartres Cathedral Stained Glass, some of it older than the present cathedral which is 900 years old. The glass is artistically detailed and too far away for the naked eye to appreciate. Bring binoculars particularly if you take Malcolm Miller's tour. Oradour-sur-Glane, the martyred village where 642 townspeople were shot and burned. The manner in which the village has been preserved as it was left by the Nazis on June 10, 1944 is a unique way to honor that hallowed ground." The tour was well organized, the sights were great, and the guides, Virginie and Marie, went out of their way to make our experiences memorable. "The Pont du Gard, hands down. It was a beautiful and functional structure, still operating after 2000 years." My wife and I had a wonderful time. Virginie More and Marie Altman (with Marie's experience, it seems unfair to call her an "apprentice") were consummate tour guides. Ours was, we think, an unusually congenial group and, from the beginning in Chartres to the end in Nice, the tour was a delight - informative, with pacing that was just right and group events - meals, orientation walks, and time on the bus - that only added to the pleasure of the trip. "There were "wow" moments every day of trip - for us they included (but I omit many) the visit to Chartres Cathedral with Malcolm Miller, the evening light show that enhanced the glory of the cathedral, the gardens at Chateau de Villandry, the wall and ceiling drawings at Rouffignac Cave, the Pont du Gard, and the wonderful surprise - because it wasn't included in the tour brochure - of the stunning music and light show of the Carrieres de Lumieres near Arles." This was our third RS tour and like the other two, we found the itinerary, our group and our guides outstanding. Kudos to Virginie and Marie, who not only led us through the 13 days, but put us in touch with Elisabeth van Hest during our post tour time in Paris. All three of them added immeasurably to our experience of France and Priscilla and I will be forever grateful. "We were unprepared for the beauty of the Côte d'Azur and would love to return to explore Cap de Ferrat." Most tour members arrange to fly into Paris and out of Nice ("multicity" on flight-booking websites). 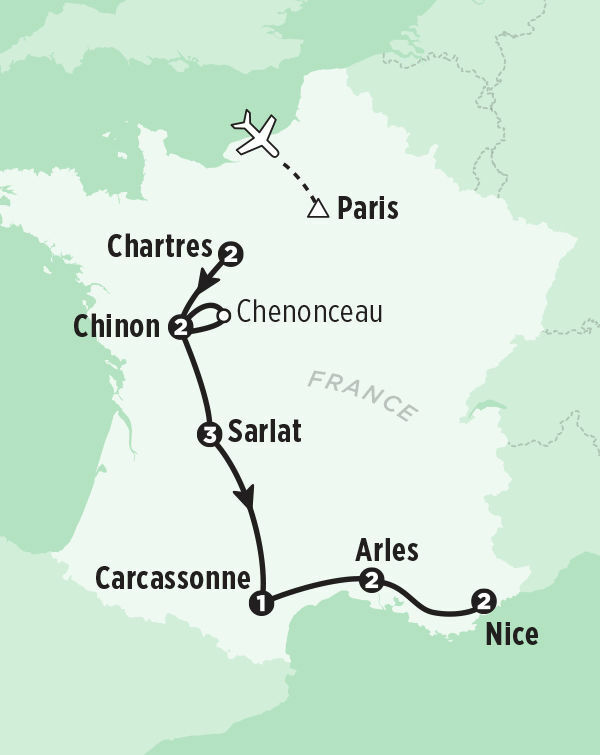 Paris is a 60 to 75-minute train ride from Chartres, where the tour begins. Booking round-trip to one city will require a connecting flight, train trip, or additional overnight stay in France. This is a moderately active tour! Most days are moderately paced with 2–8 miles of walking, including some hills and stairs.